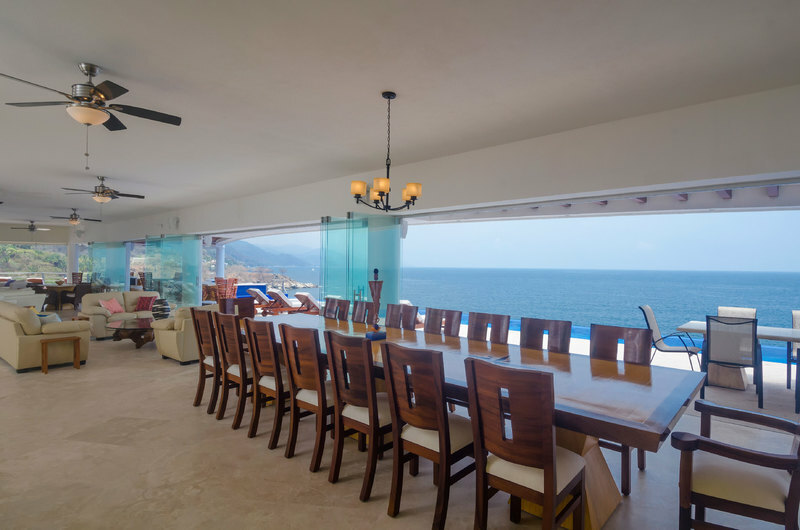 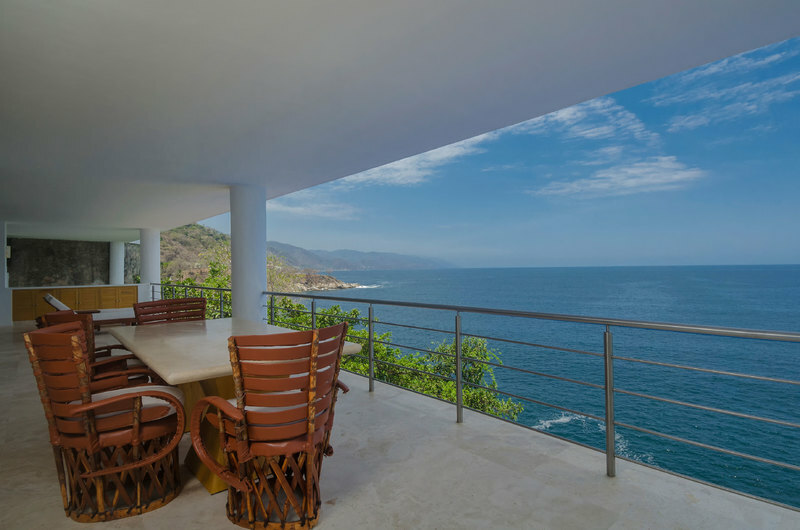 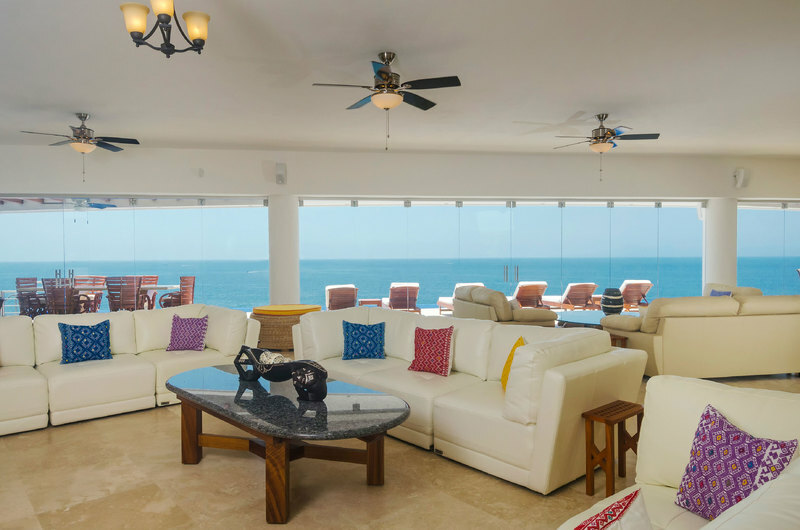 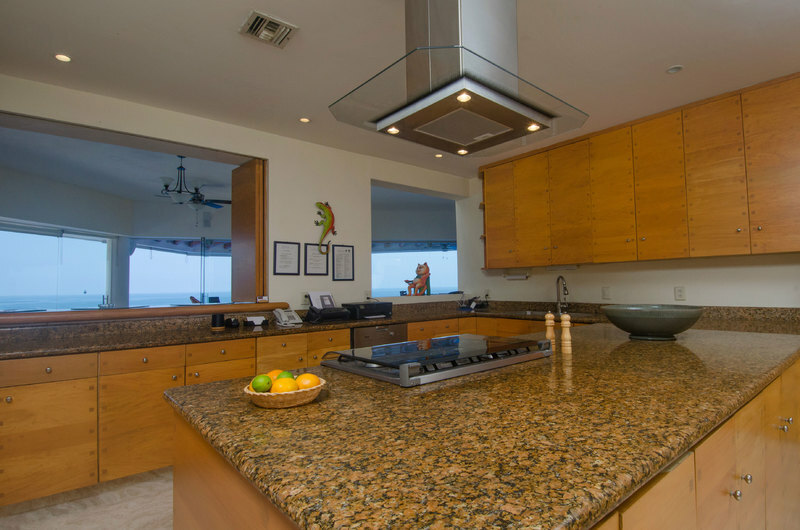 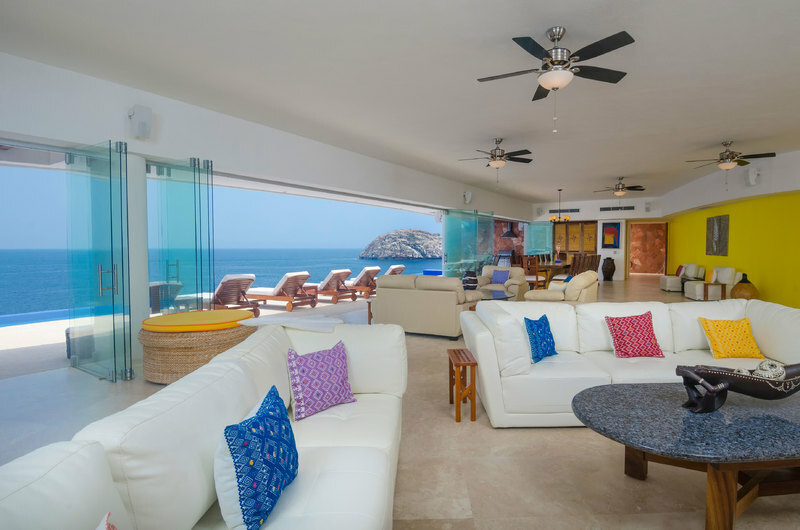 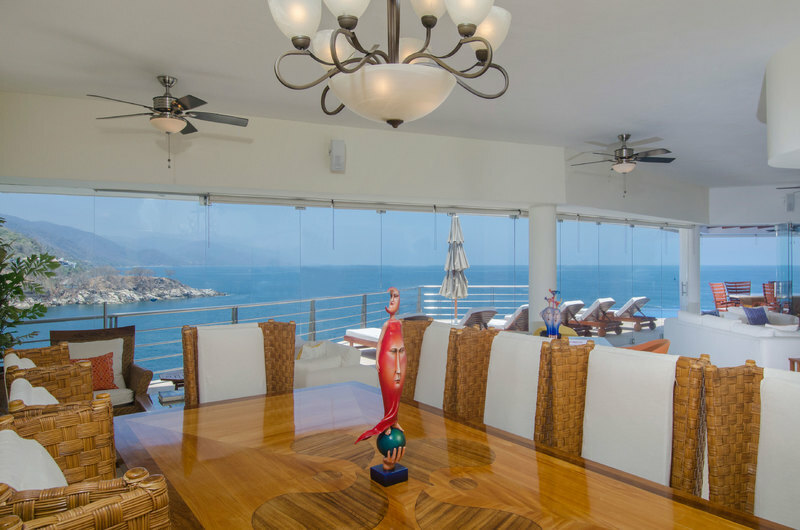 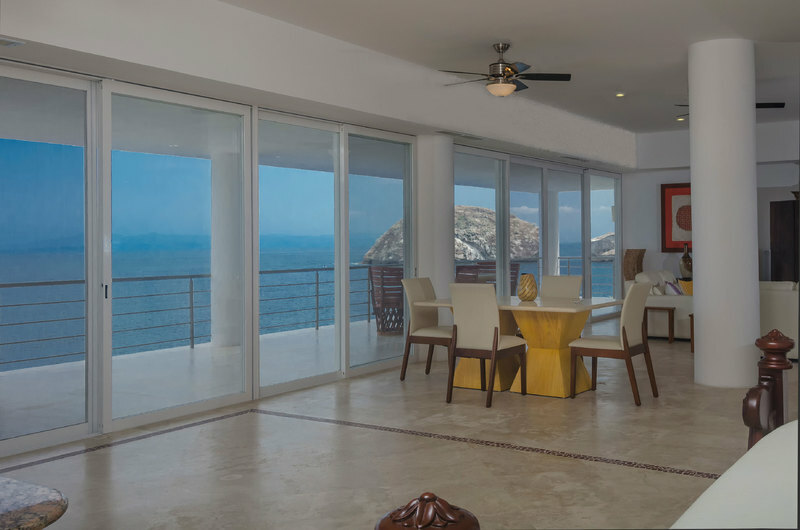 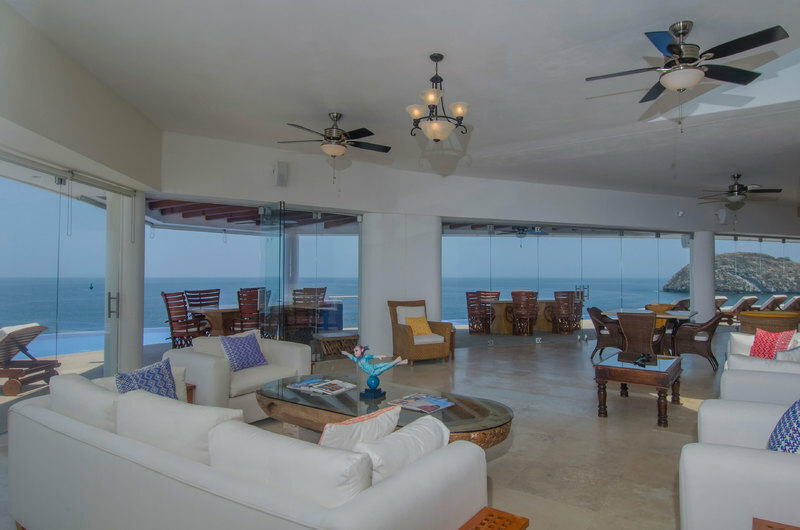 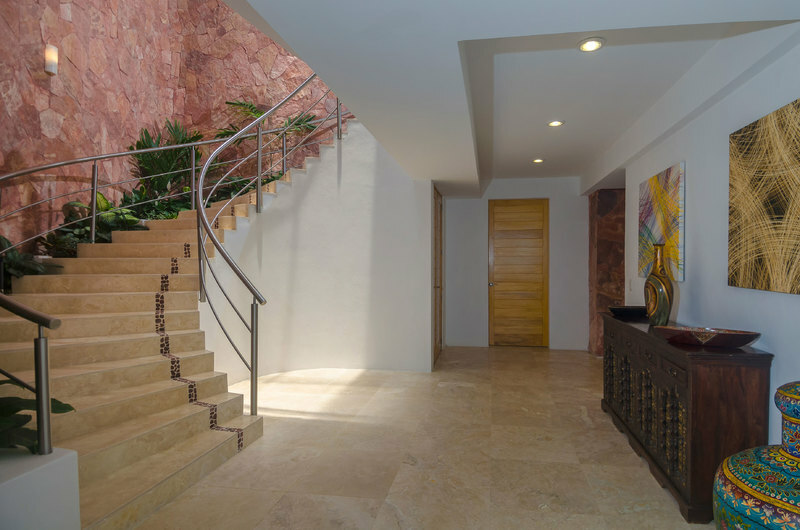 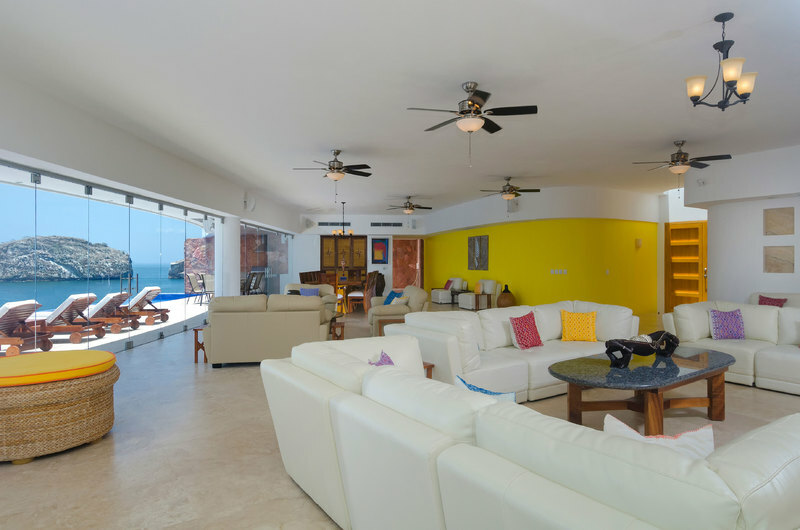 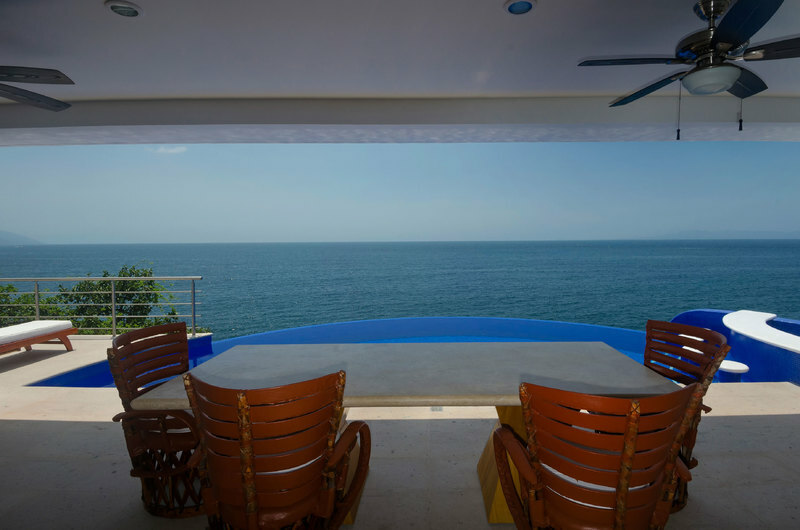 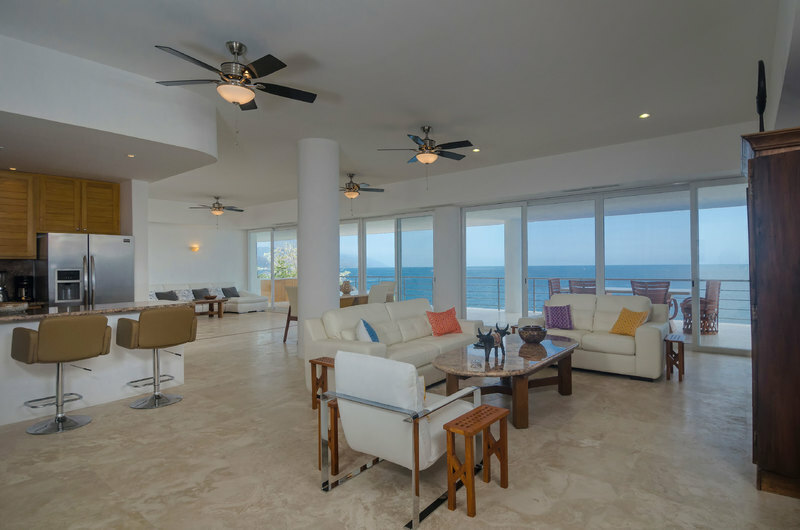 As you enter the expansive living/dining room, a magnificent 180° panoramic ocean view welcomes you. 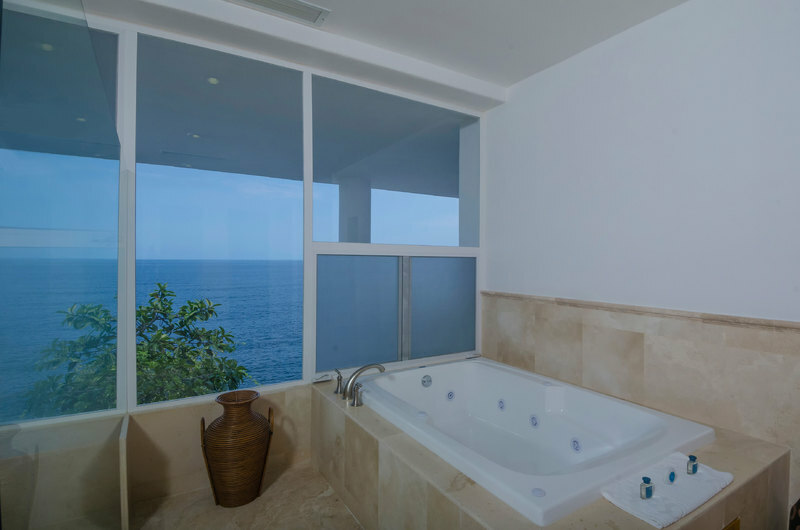 Floor-to-ceiling glass sliders lead you to the sweeping terrace, heated infinity pool, Jacuzzi and swim-up bar. 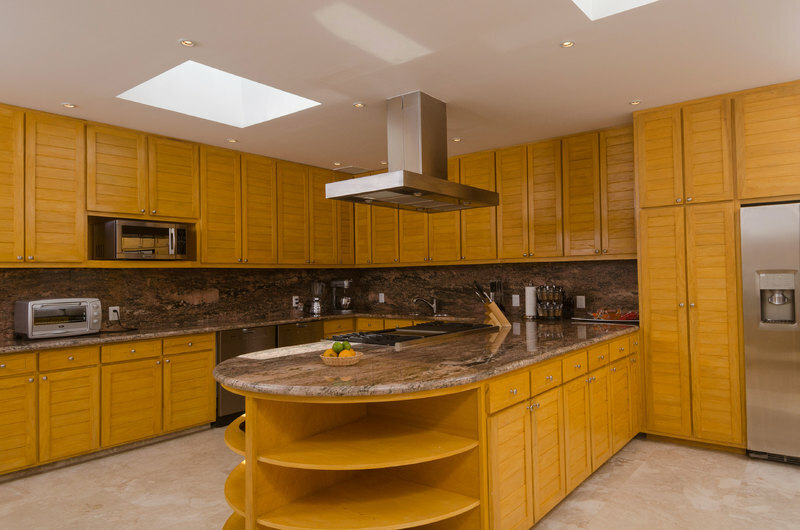 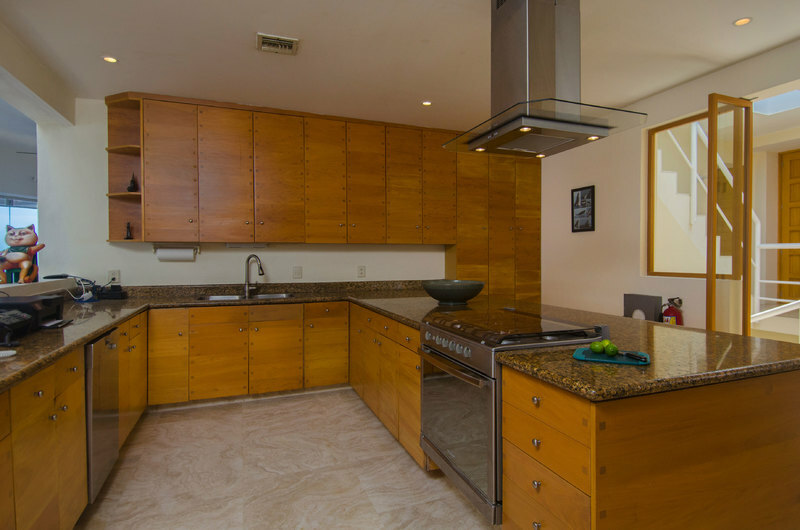 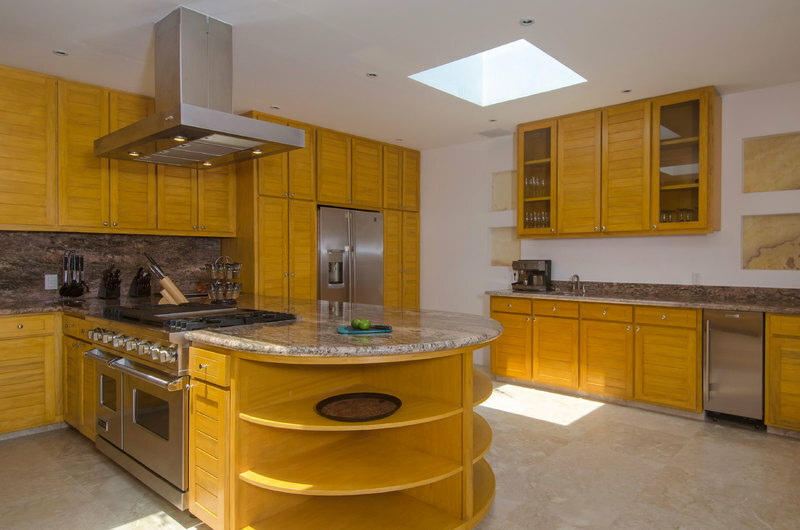 A modern gourmet kitchen with granite counters, indoor and outdoor dining areas and state-of-the-art reverse osmosis drinking water system complement romantic or festive atmospheres for fine dining and entertainment. 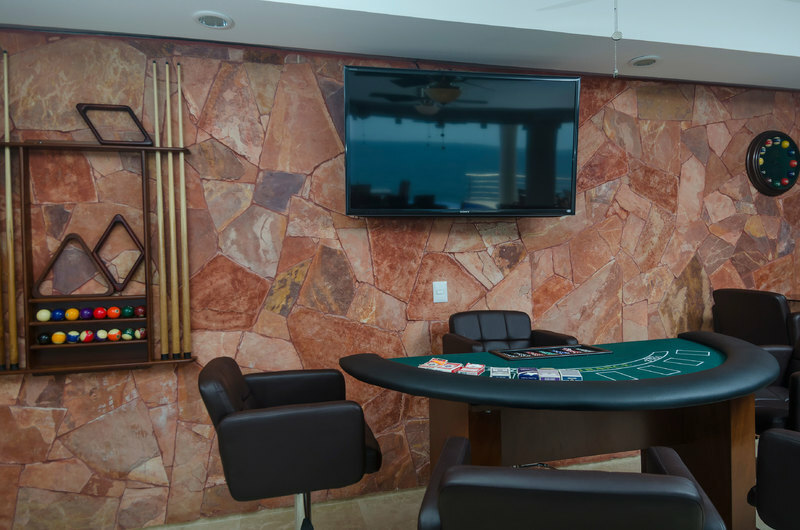 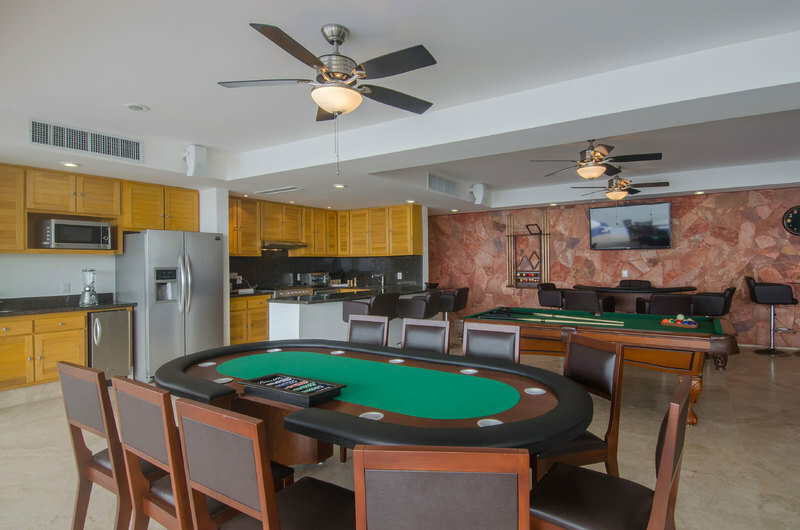 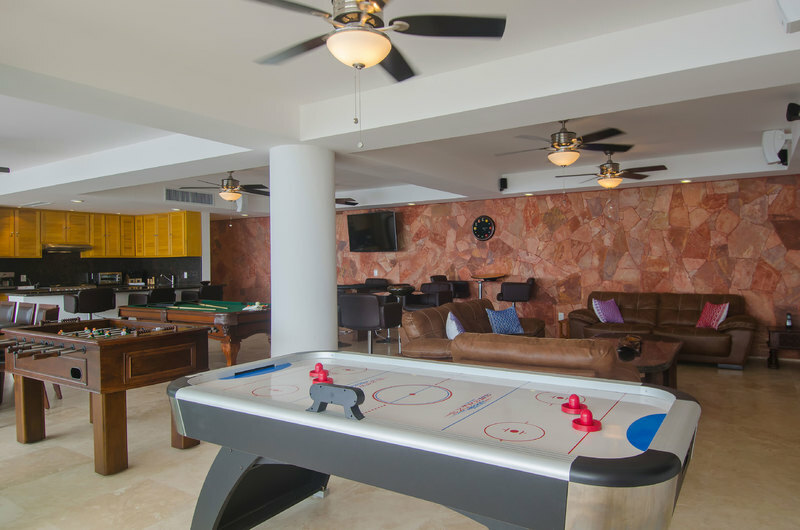 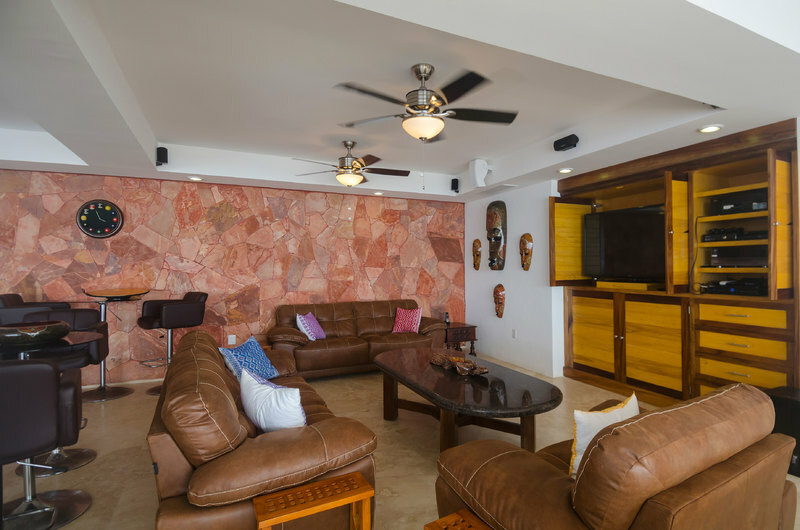 Fully air-conditioned throughout, this home also features an enormous rooftop sundeck, private gym, satellite TV, stereo/CD system, Internet hookup, and two indoor bars. 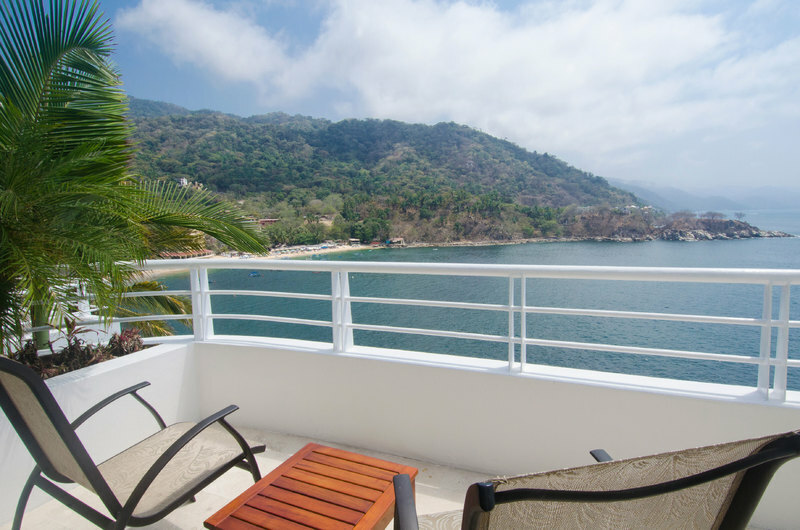 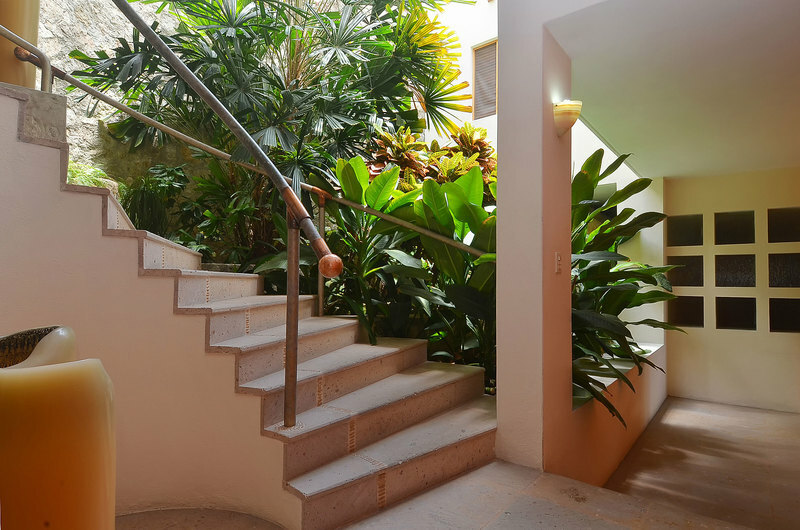 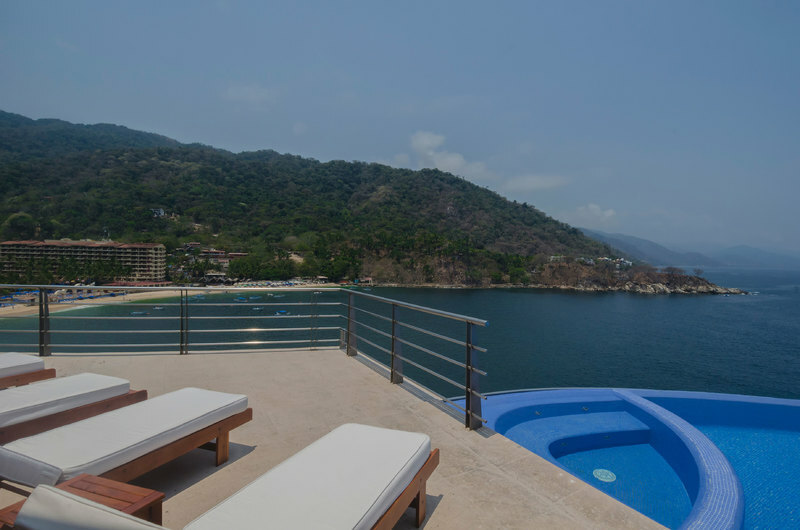 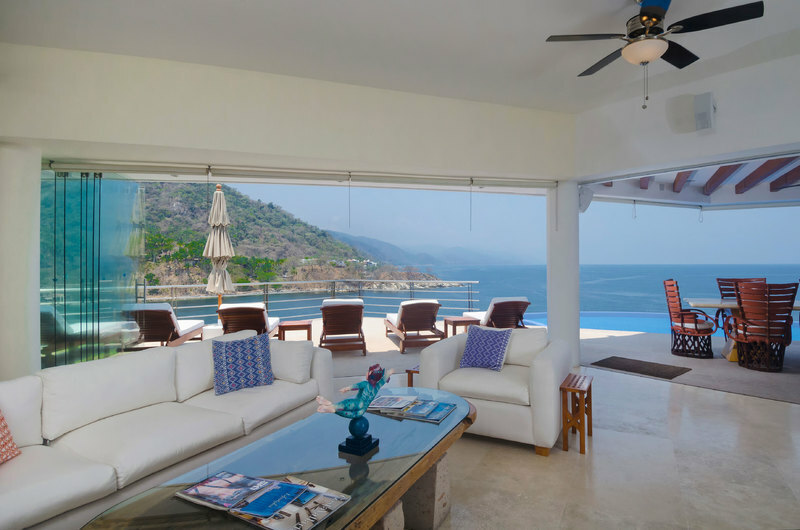 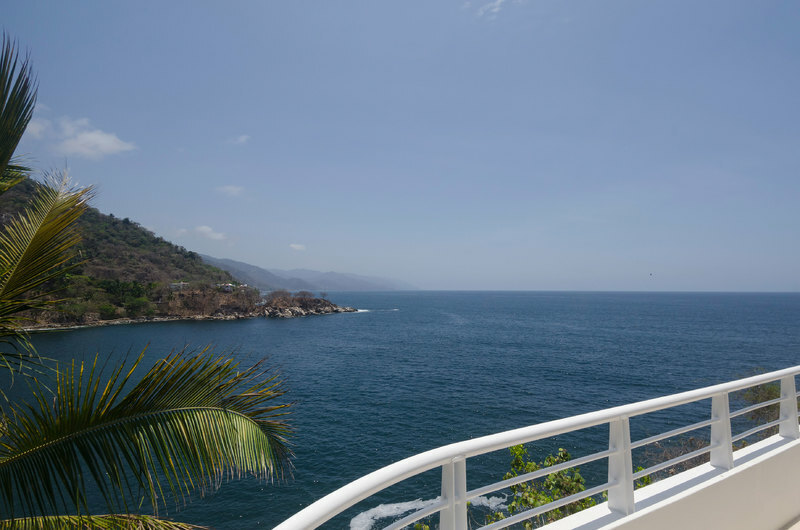 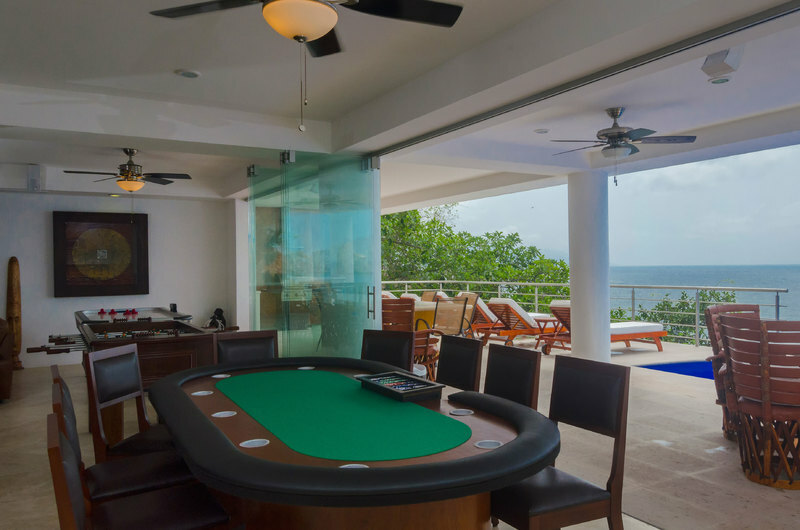 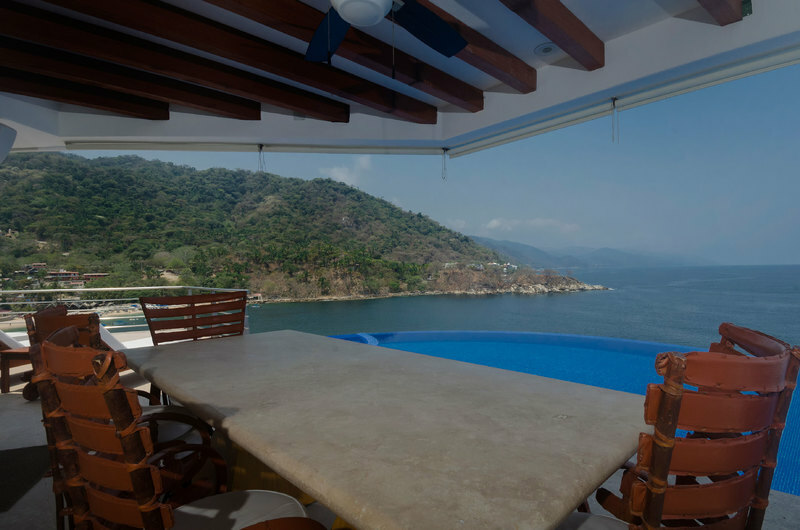 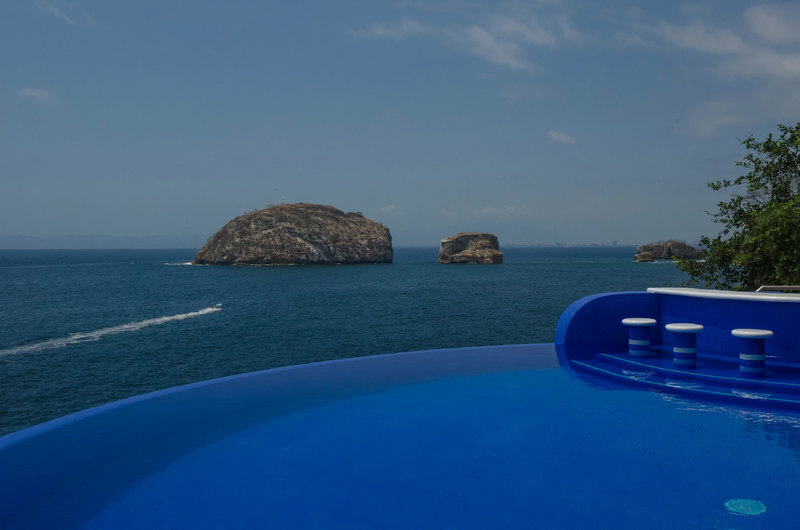 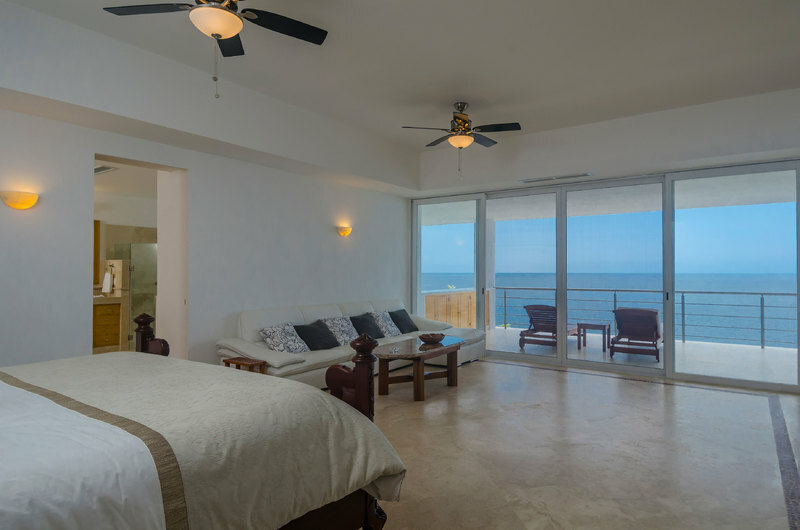 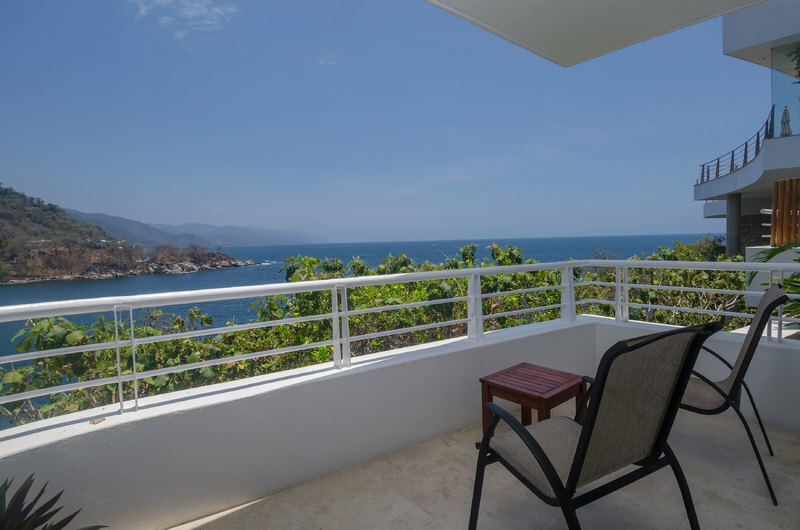 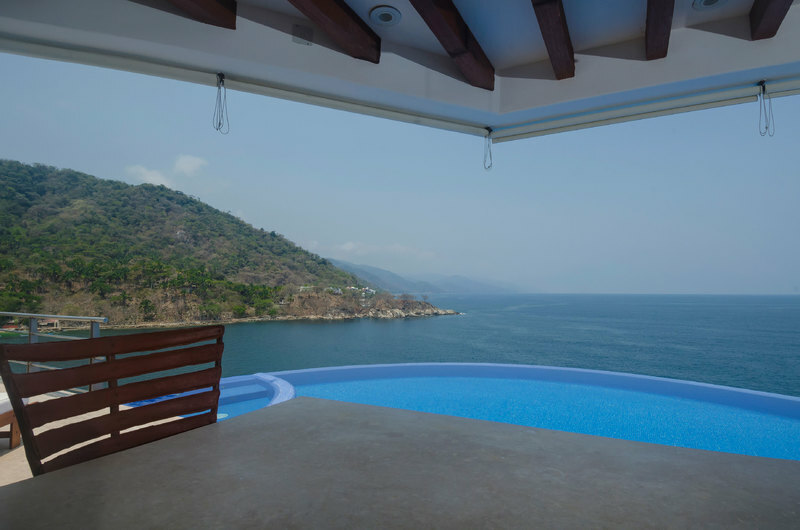 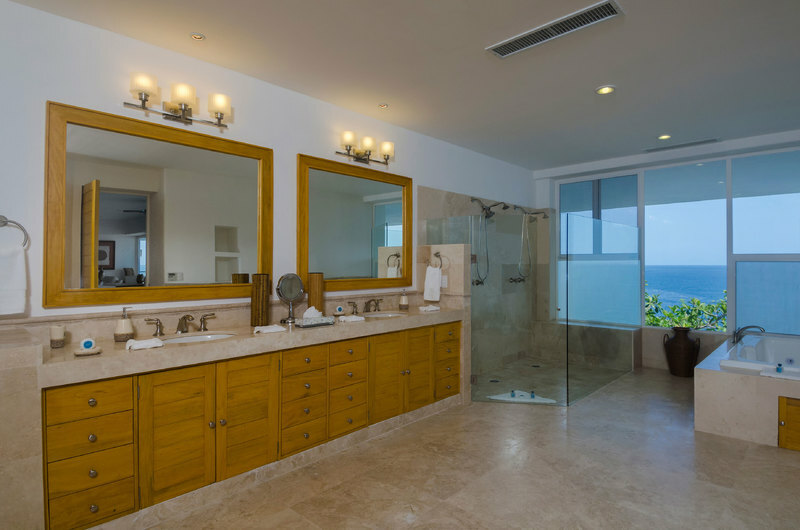 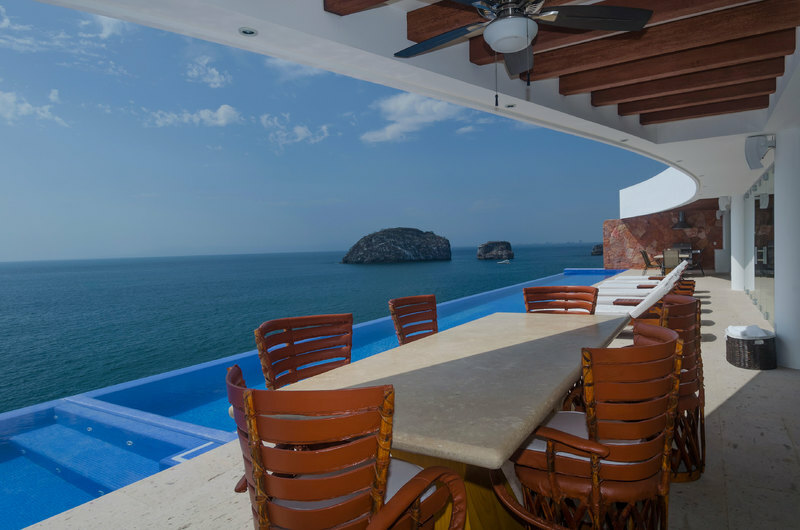 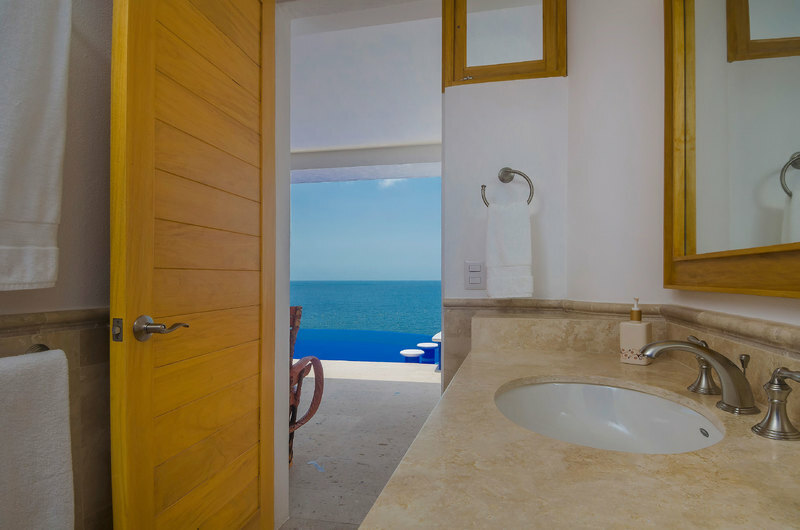 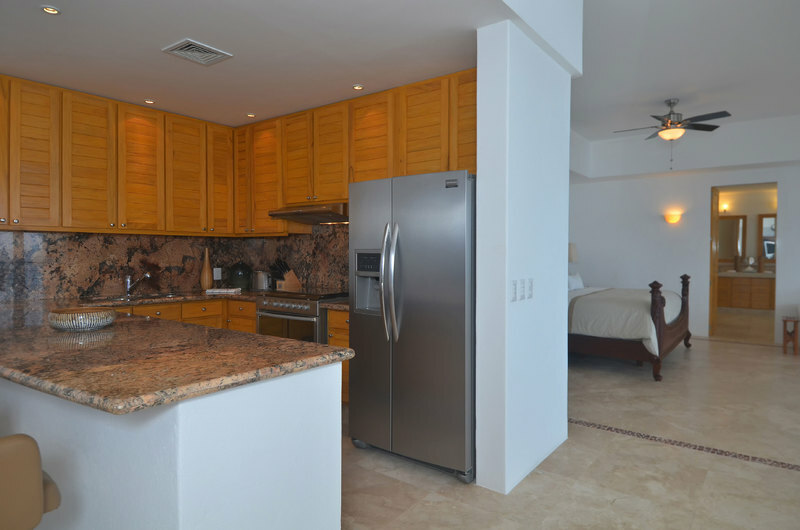 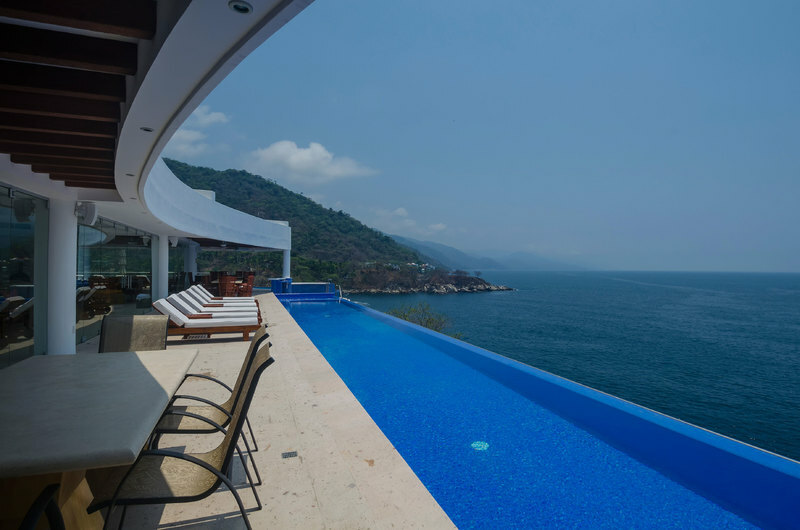 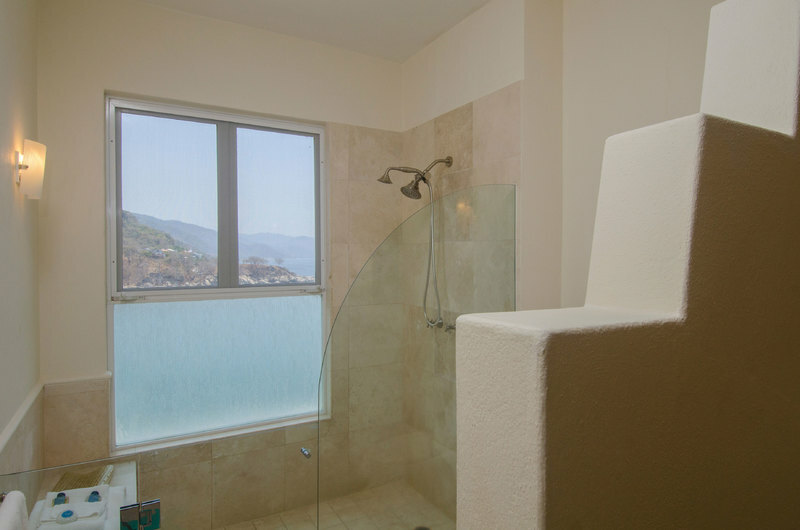 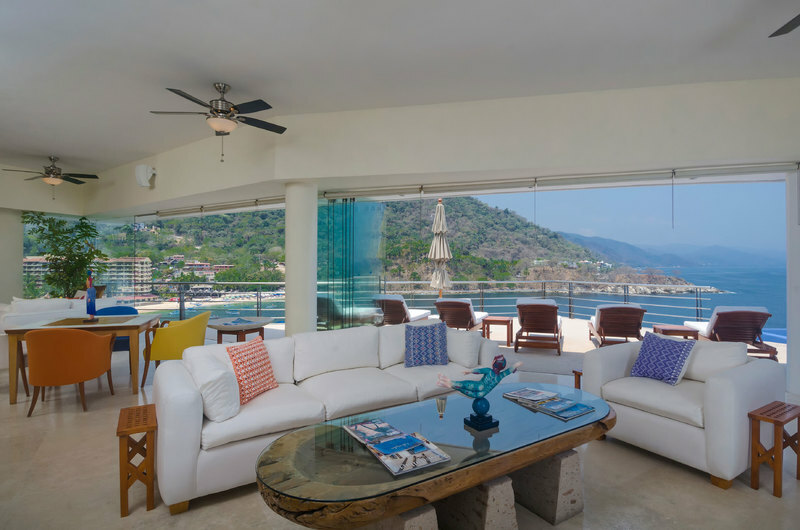 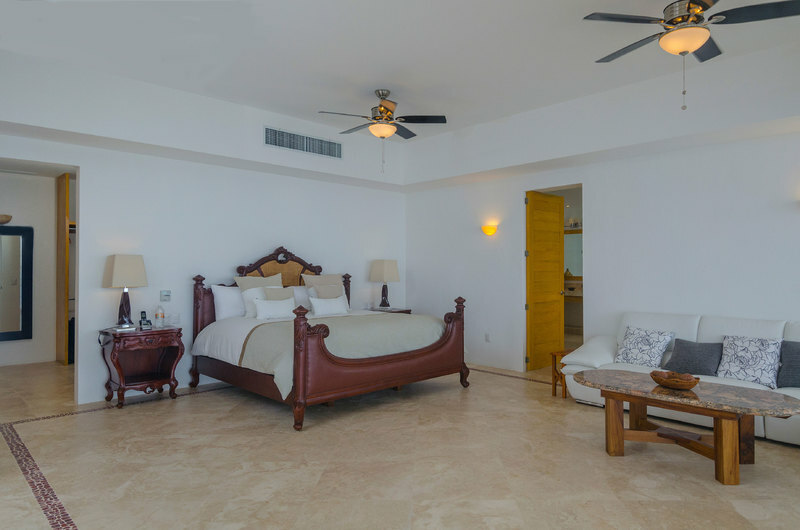 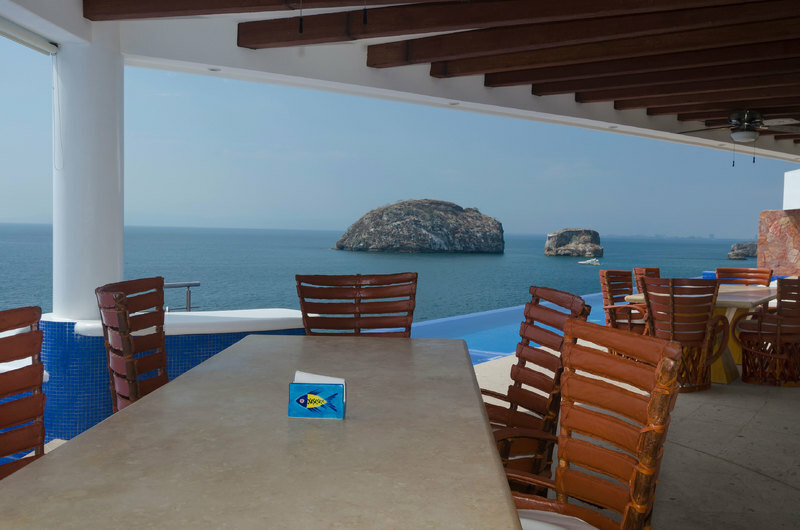 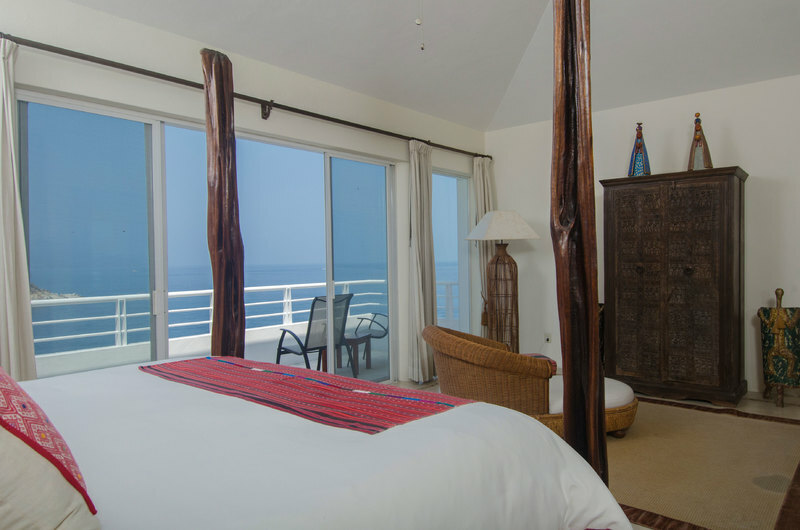 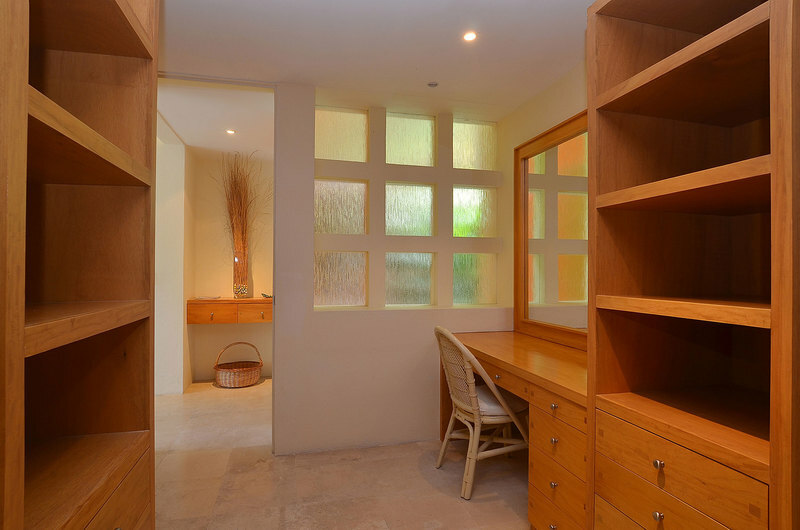 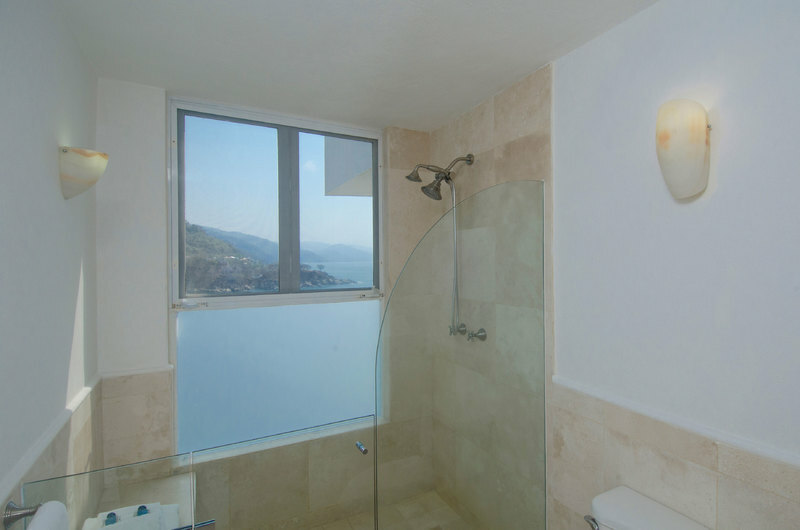 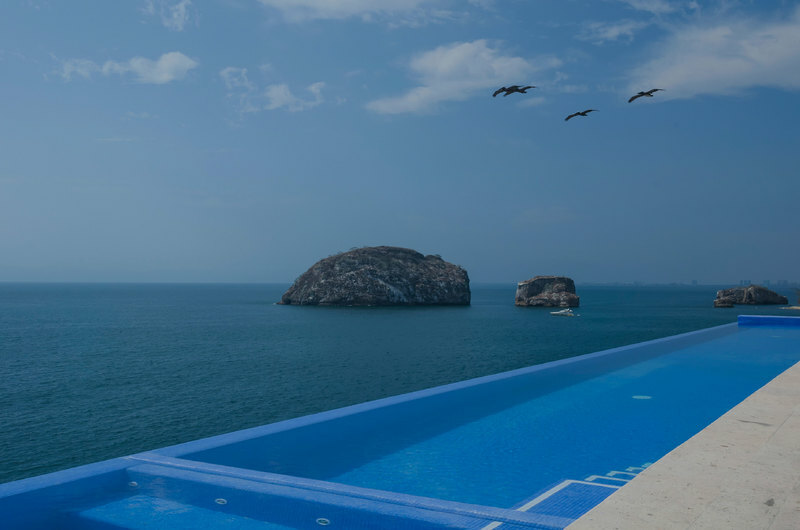 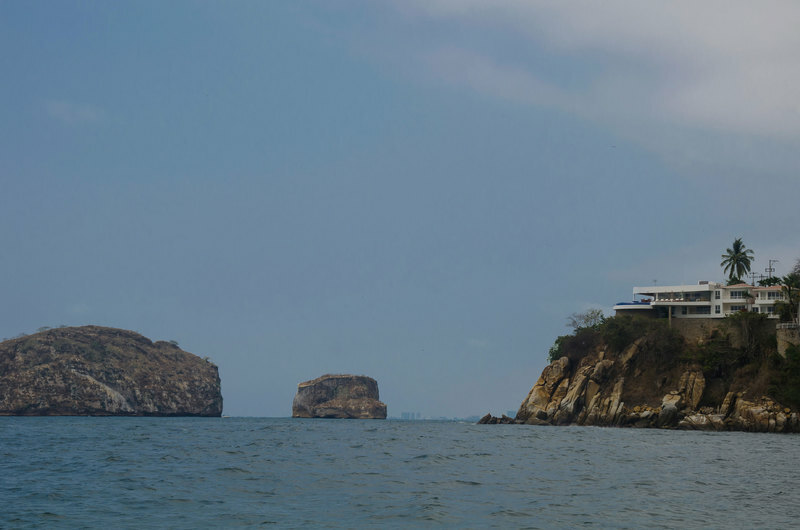 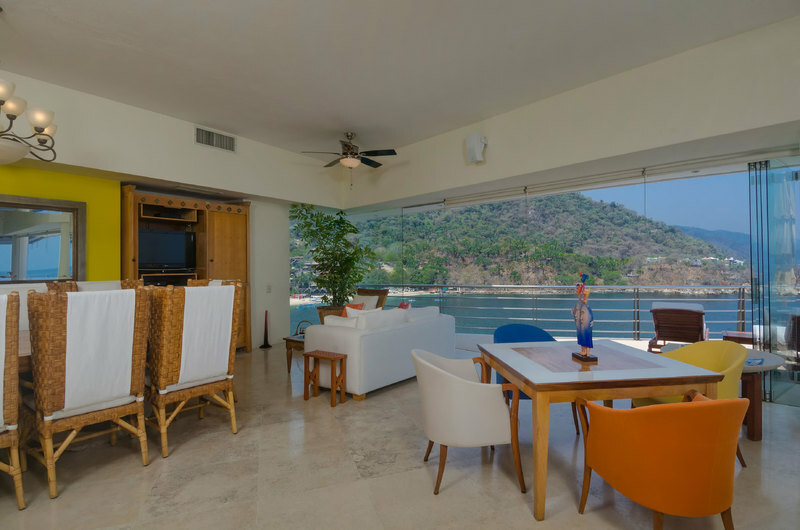 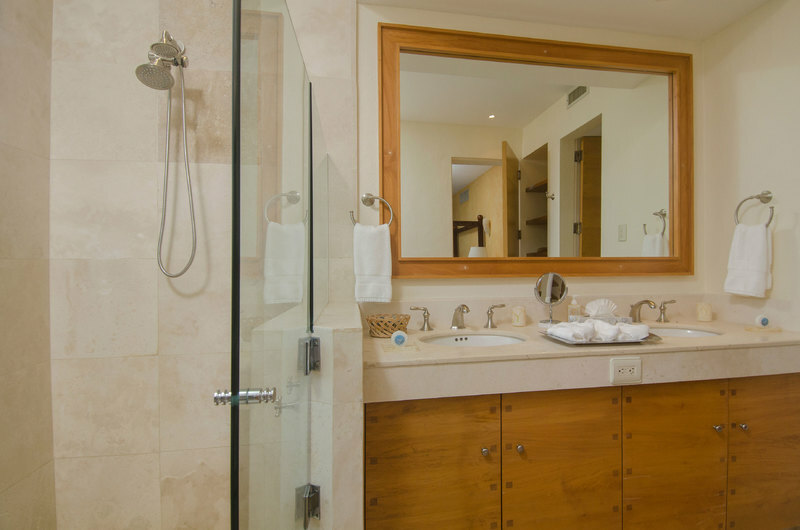 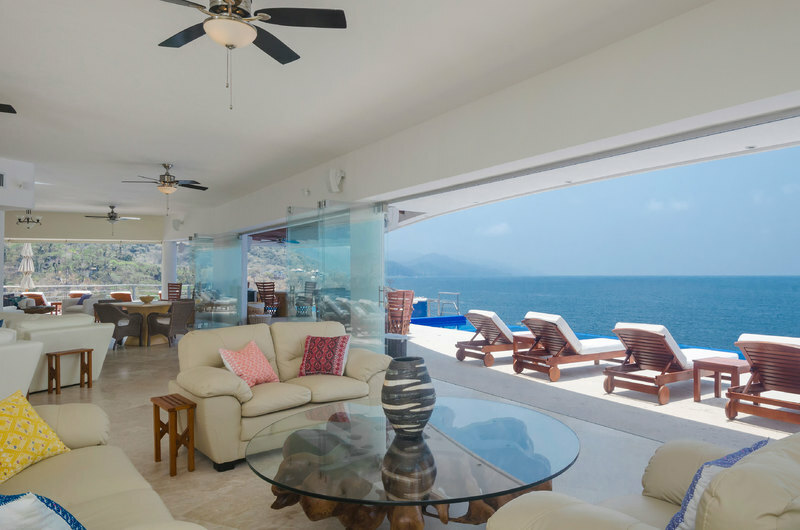 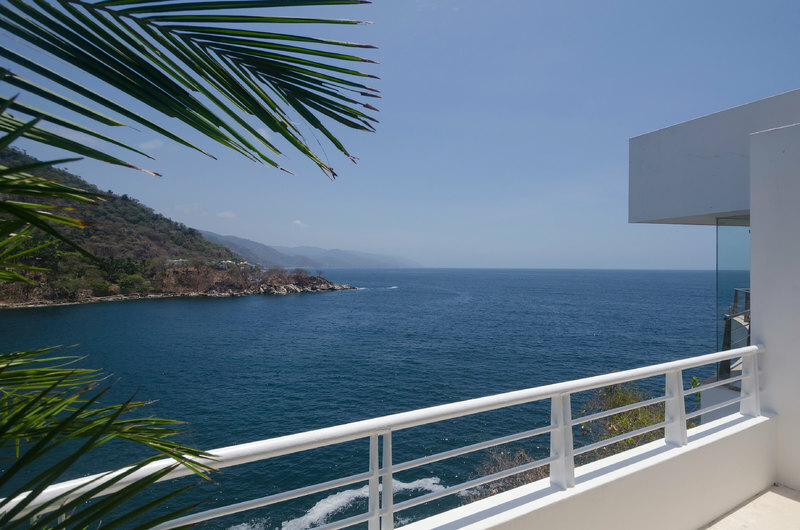 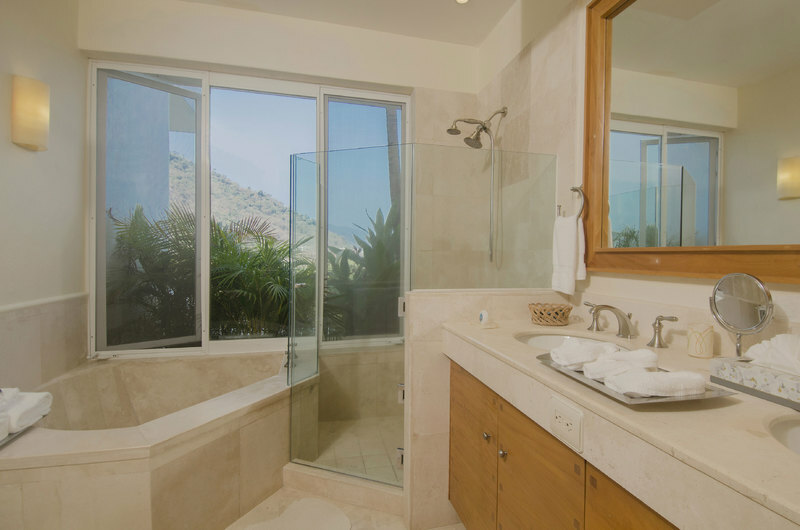 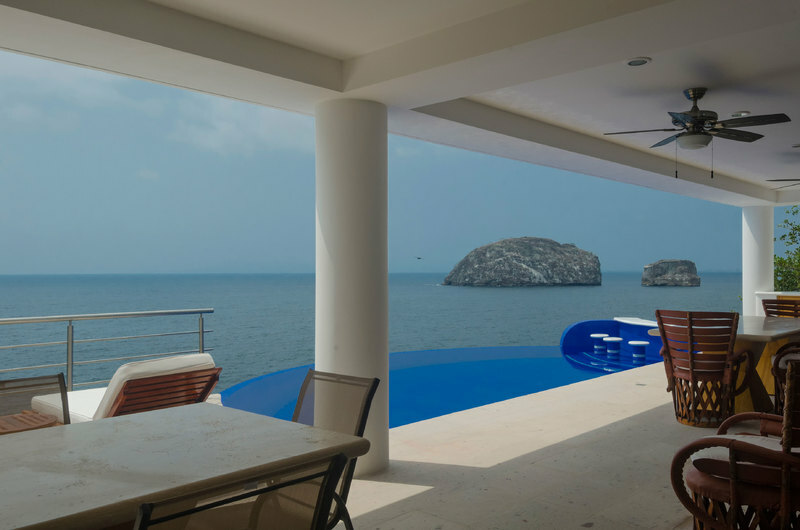 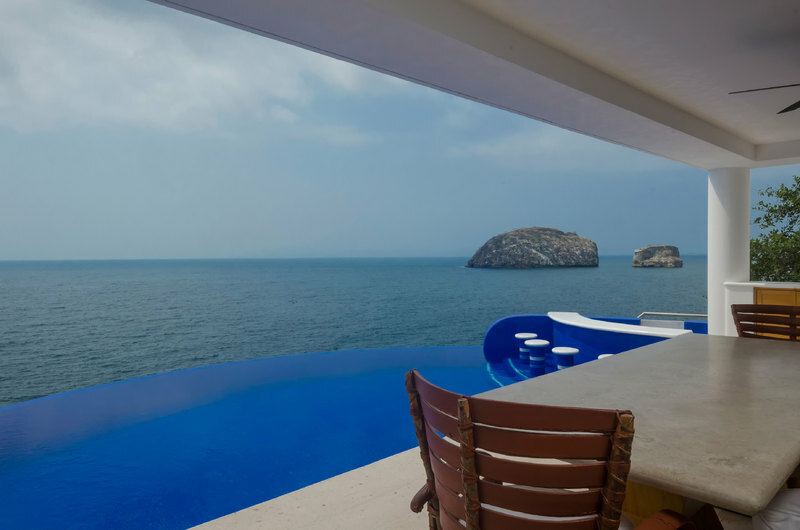 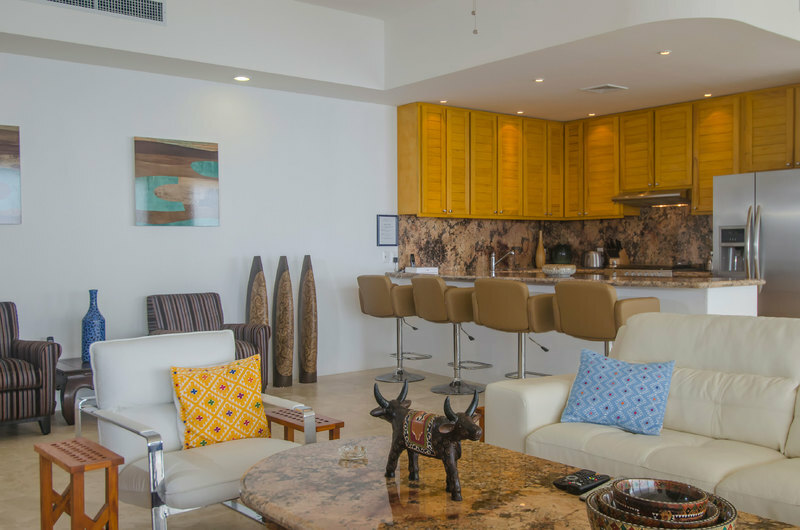 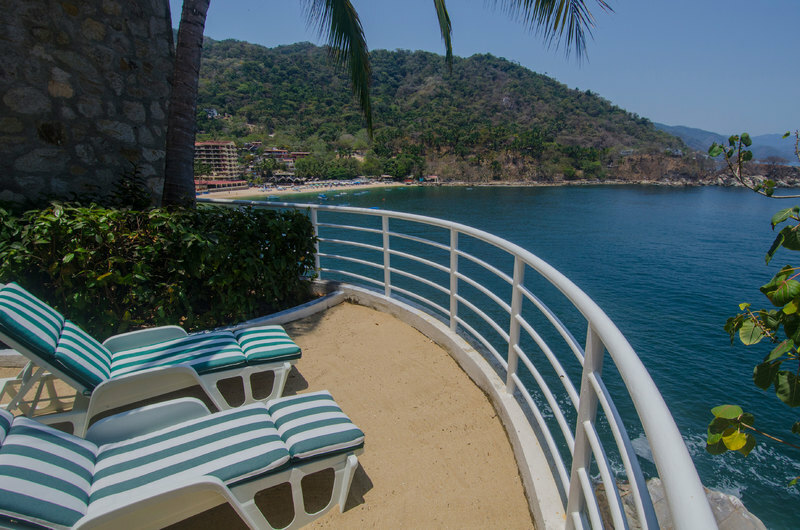 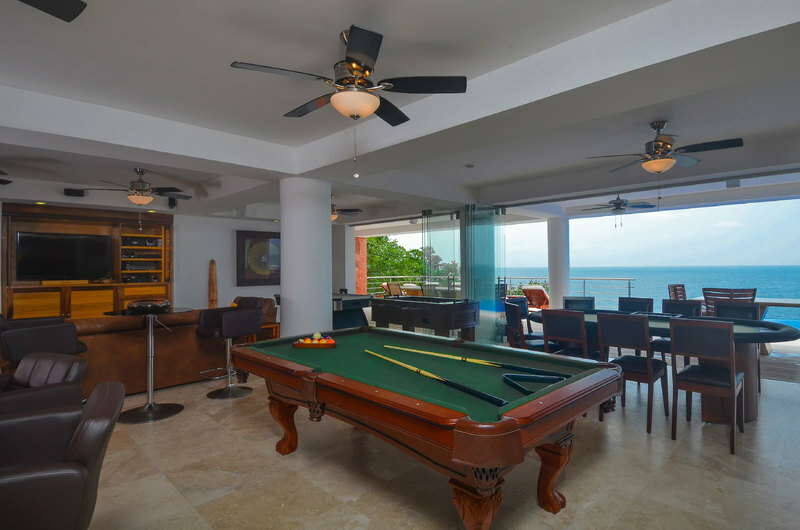 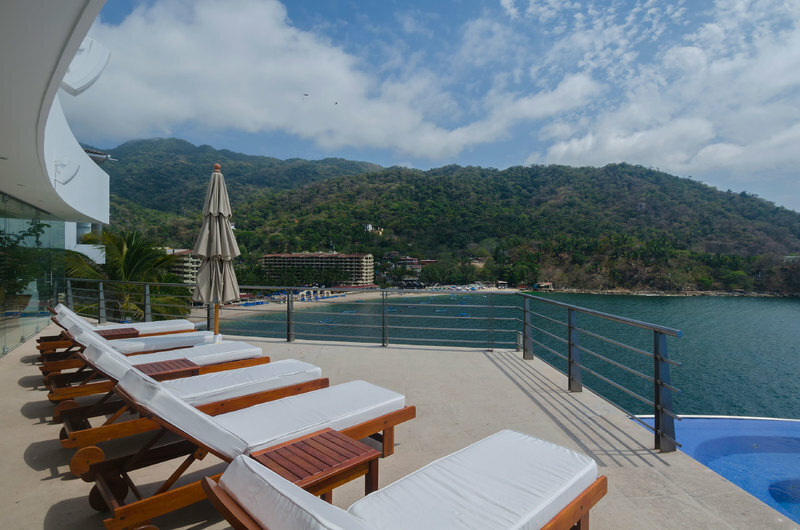 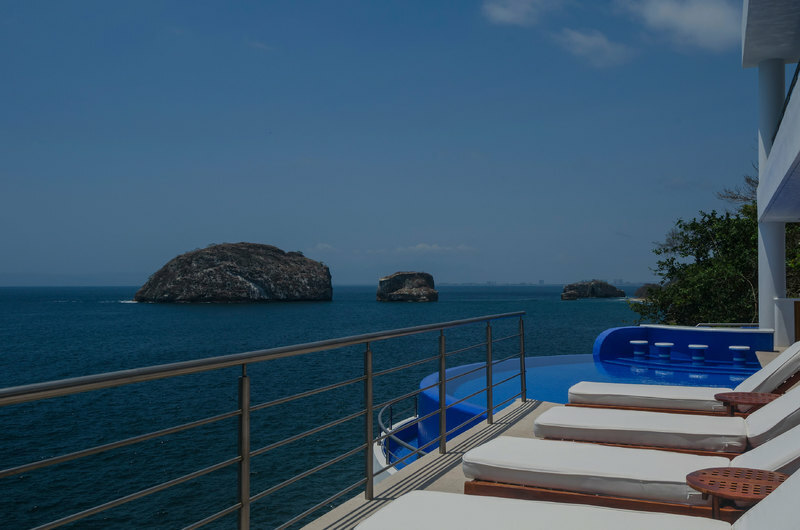 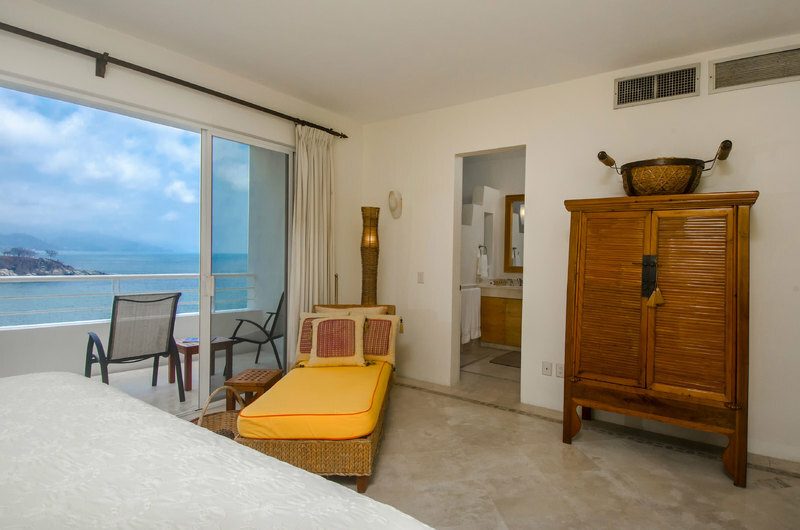 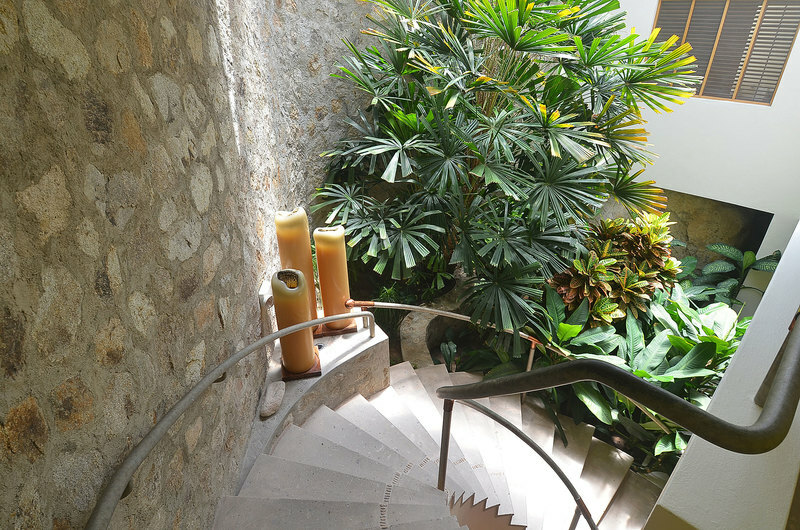 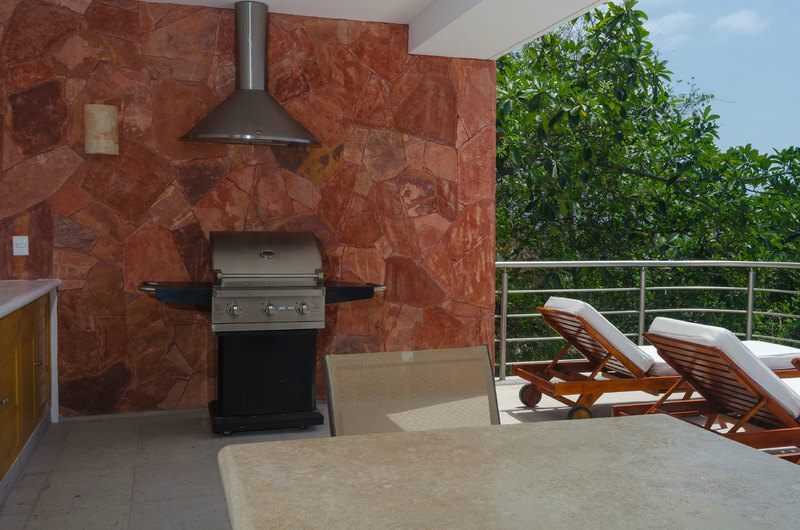 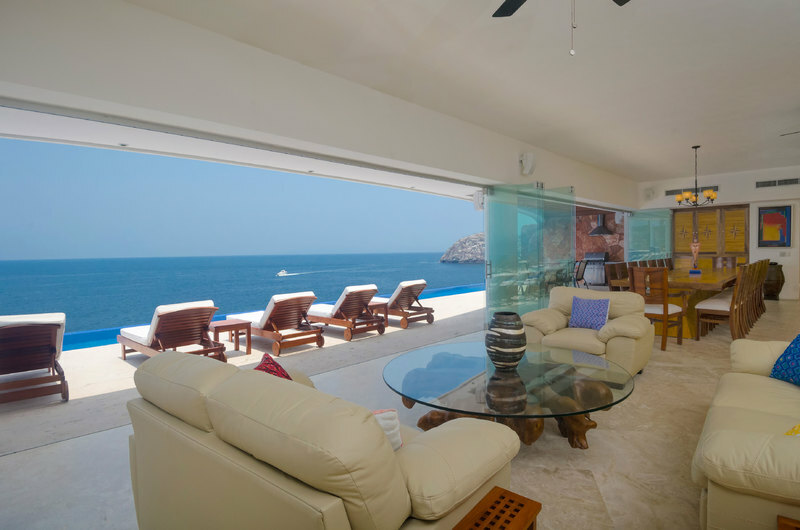 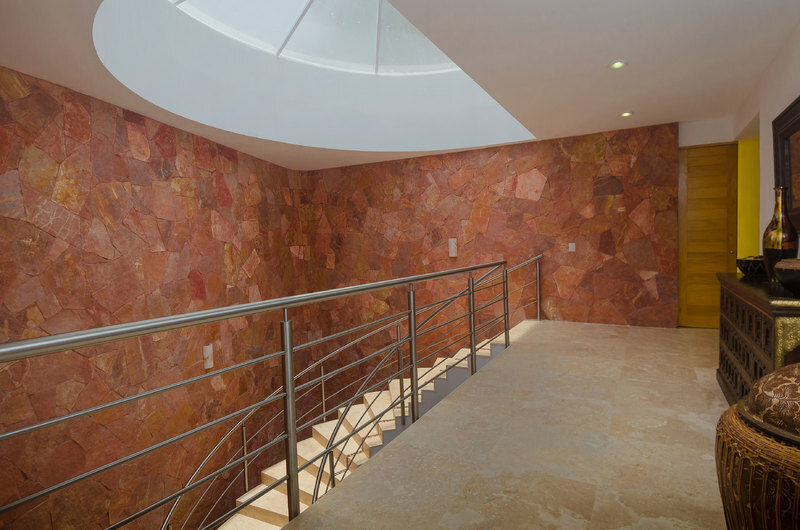 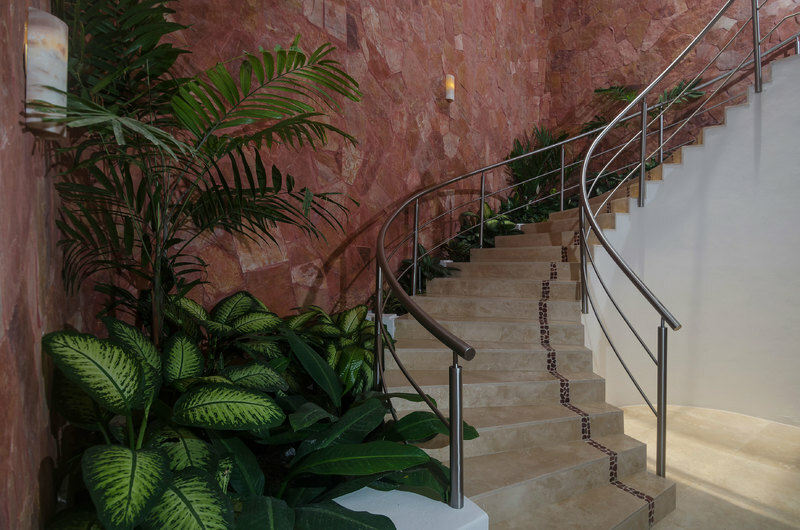 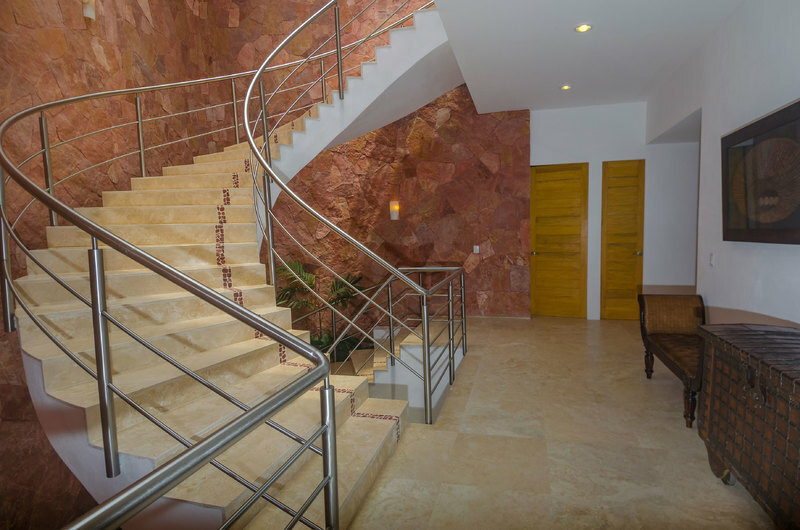 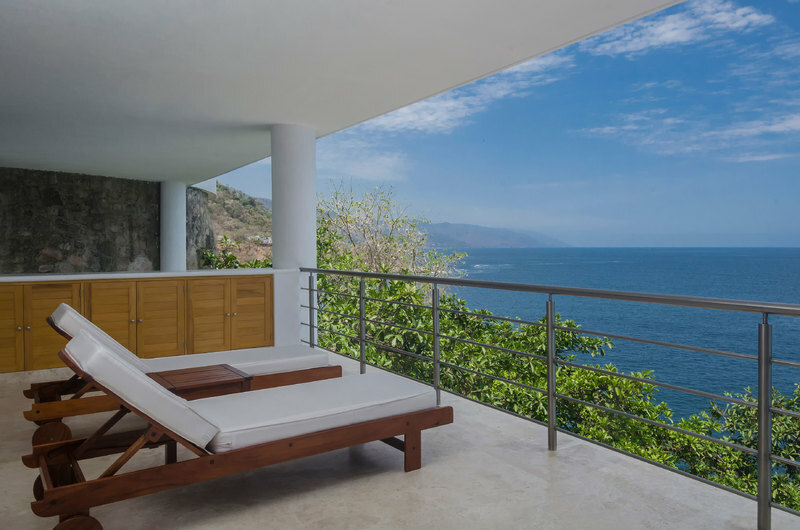 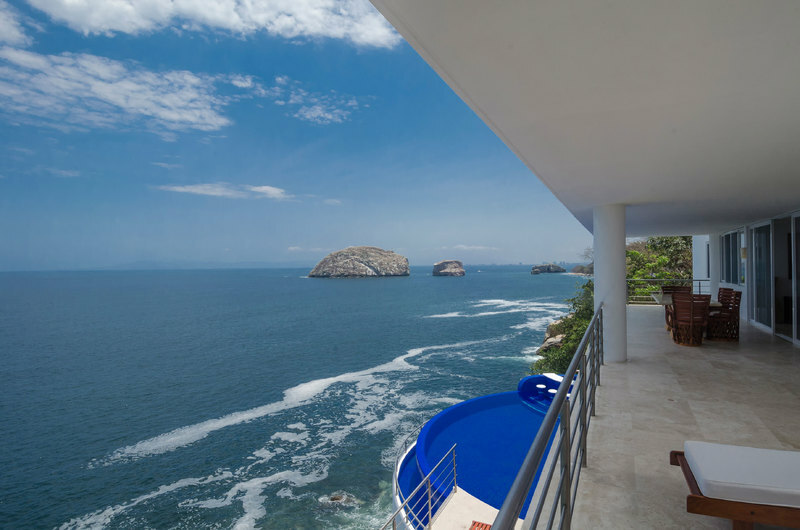 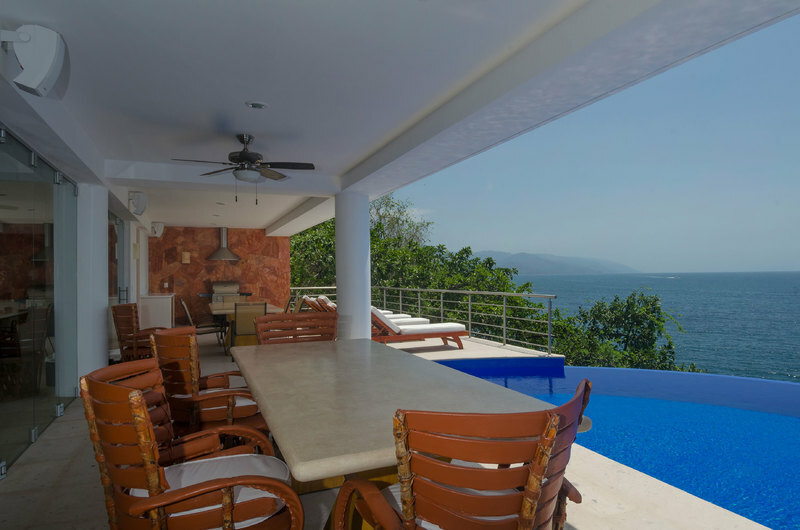 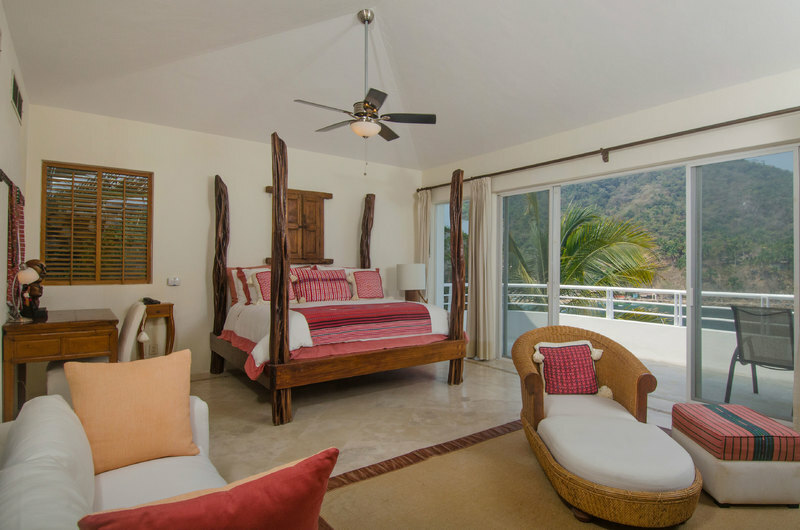 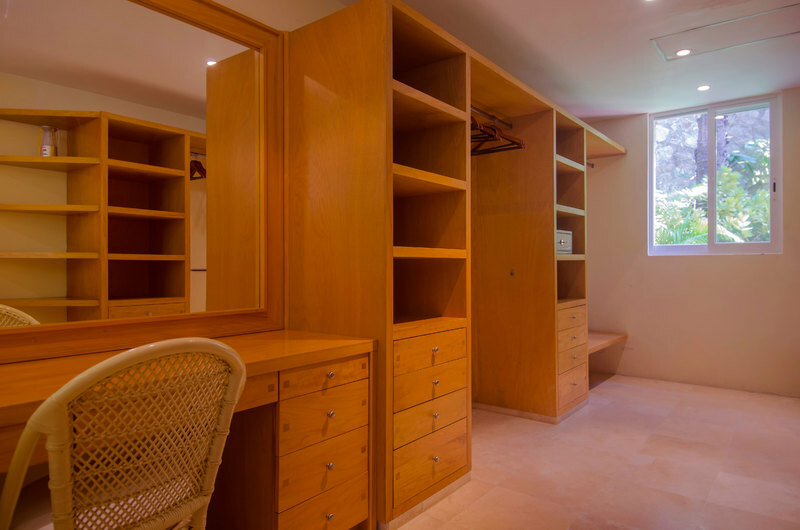 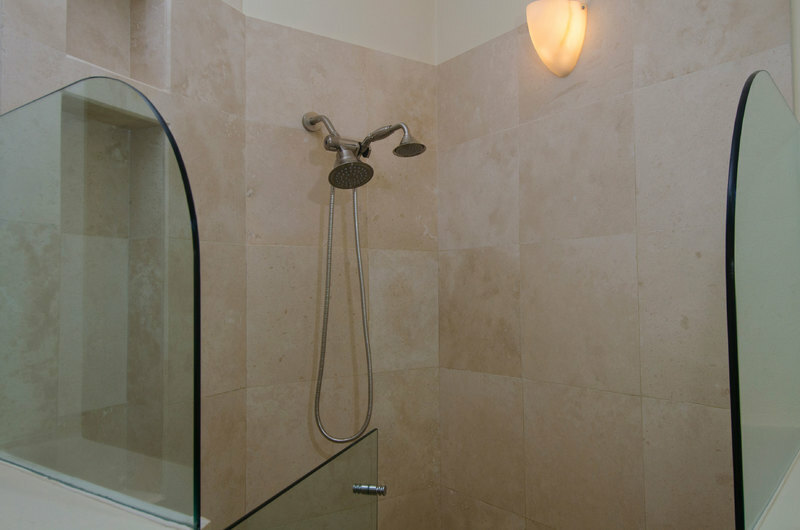 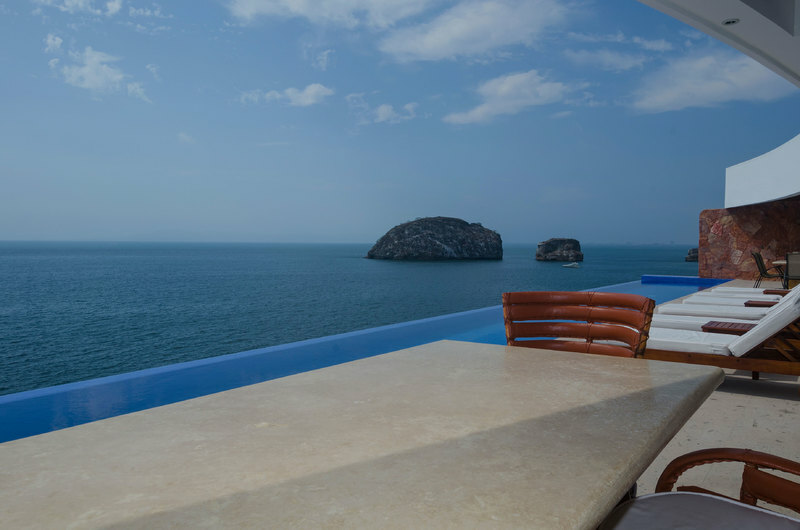 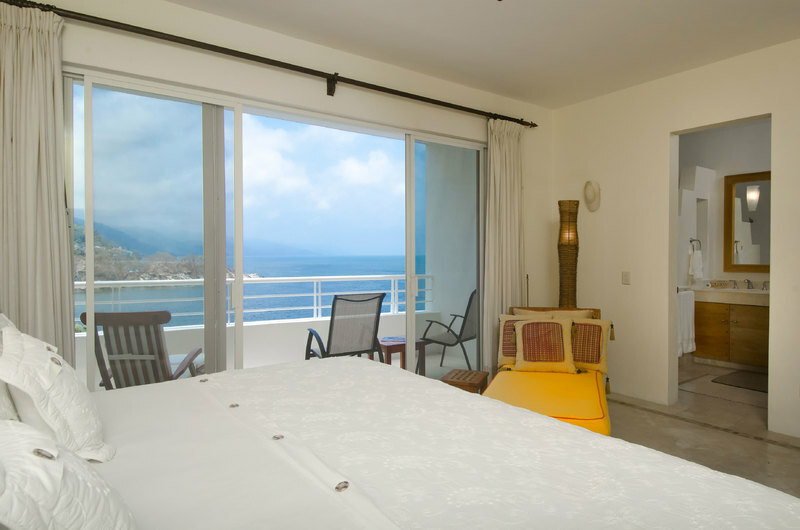 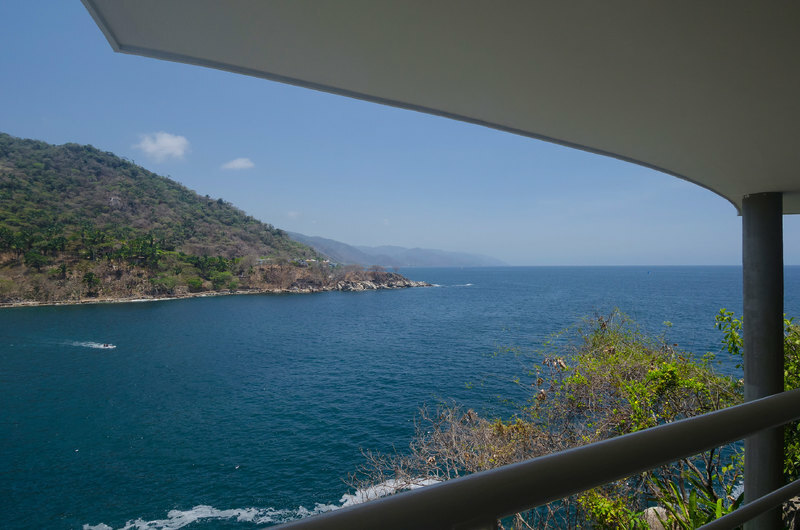 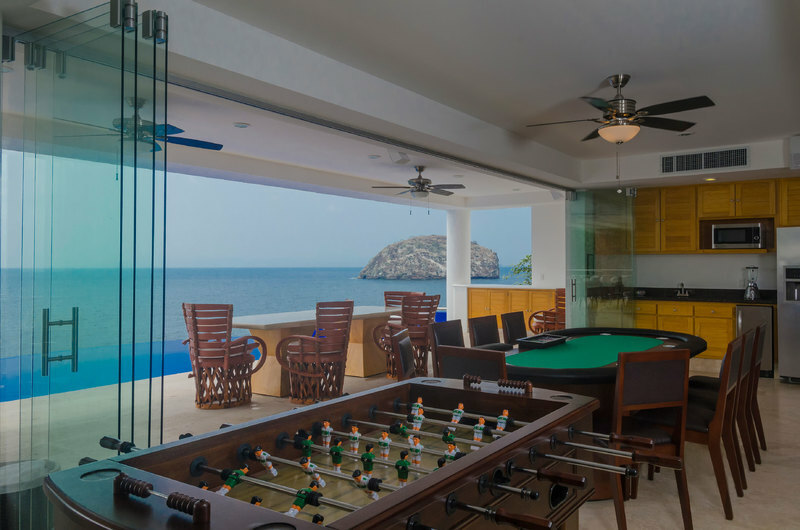 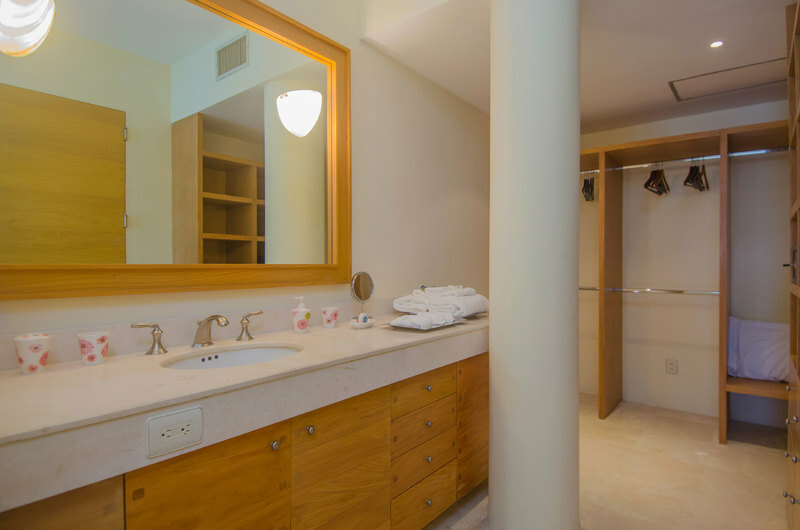 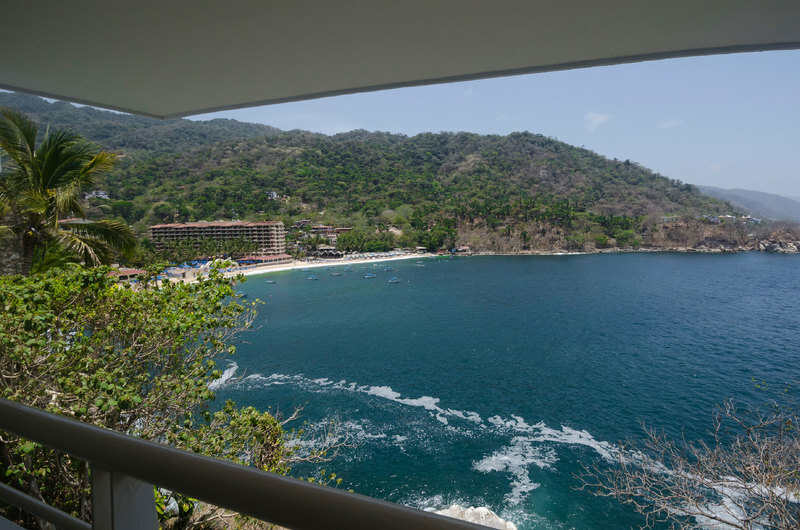 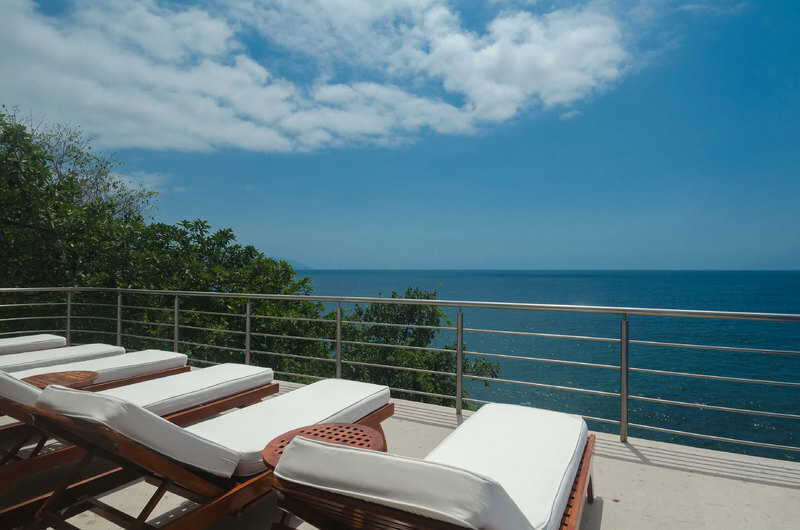 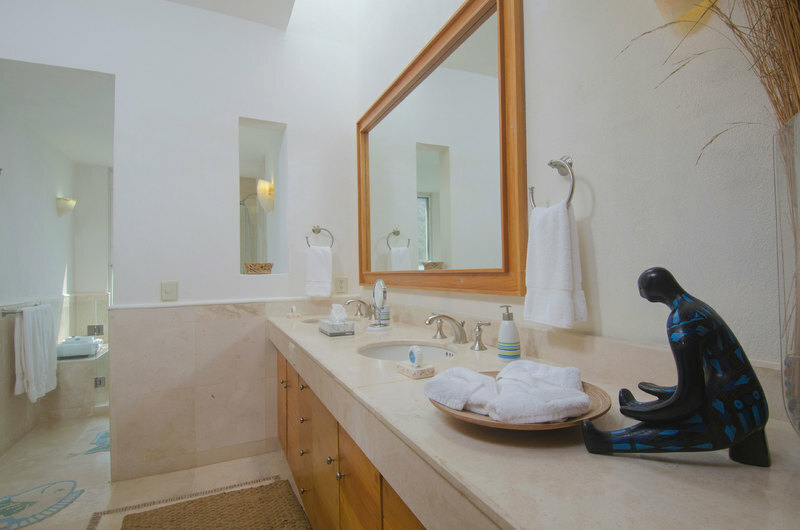 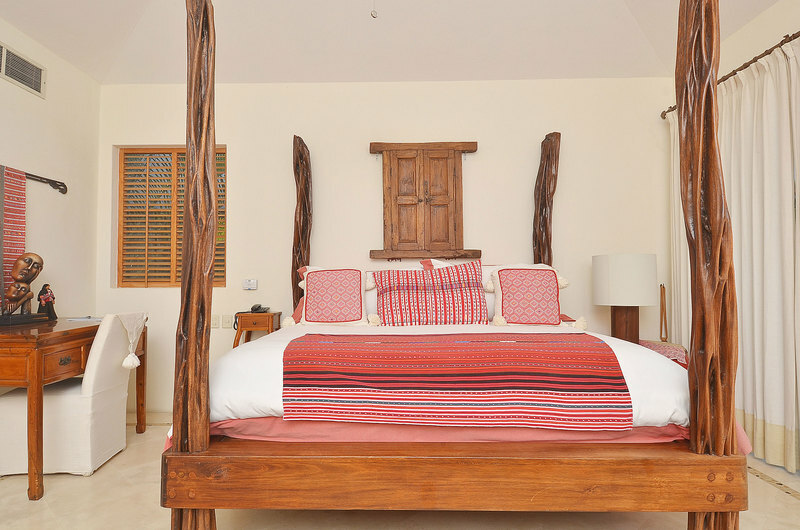 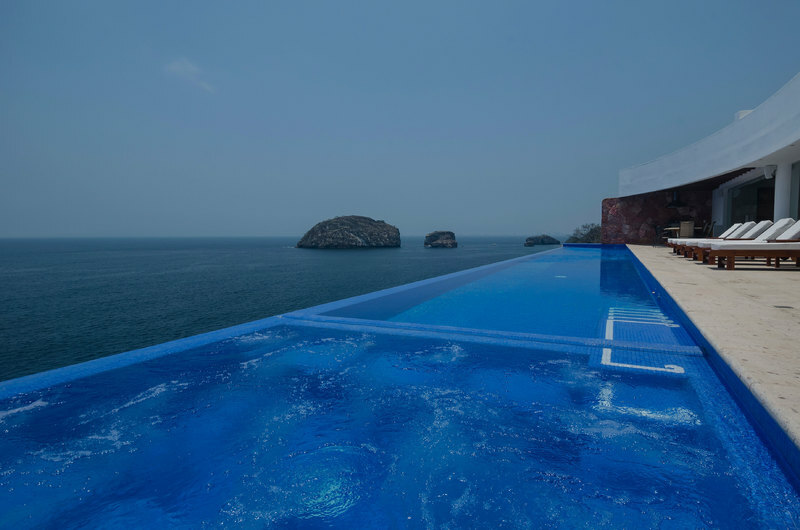 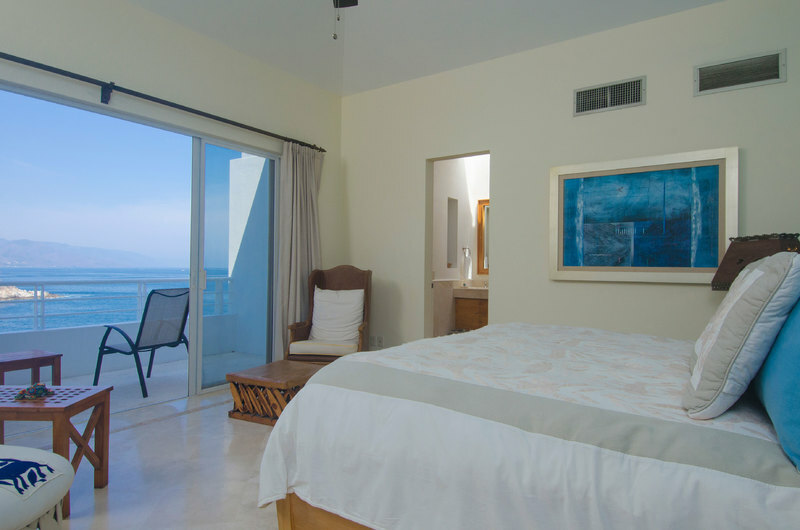 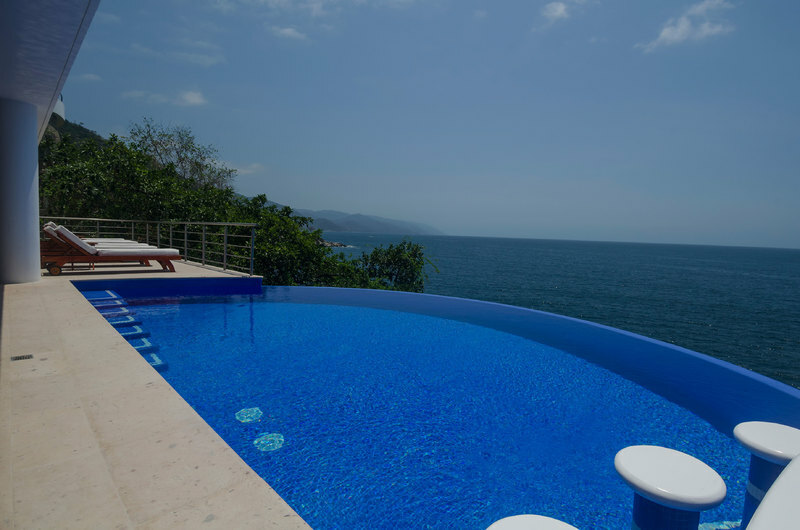 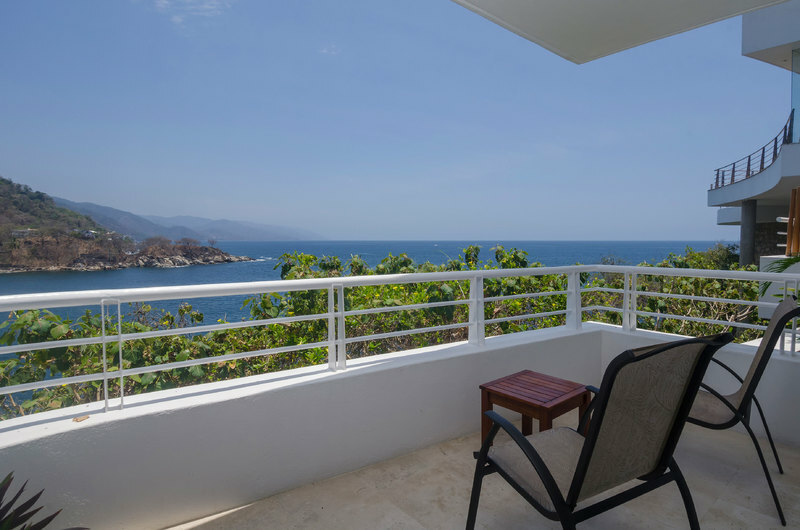 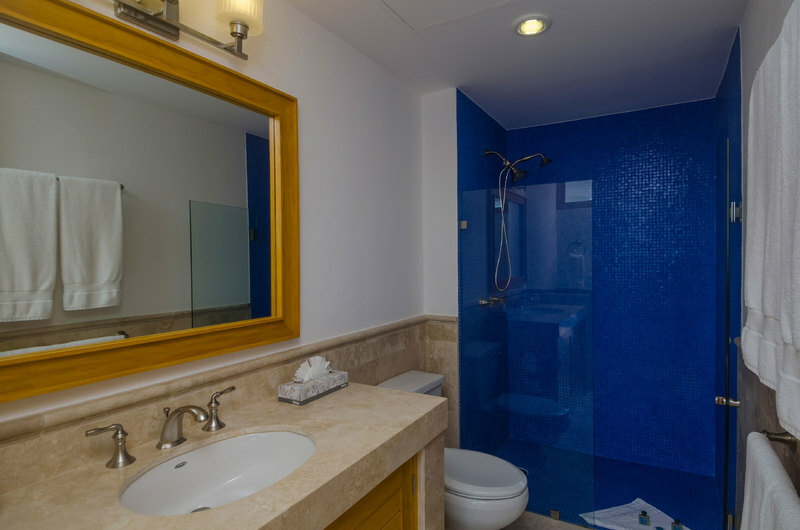 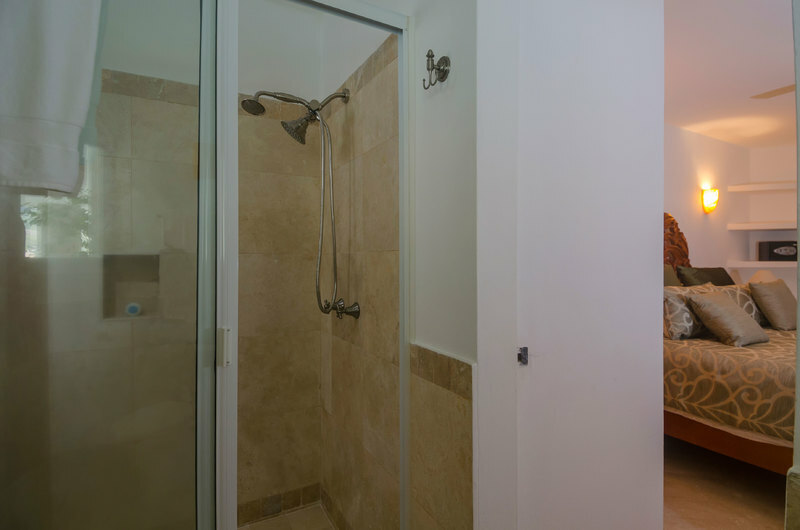 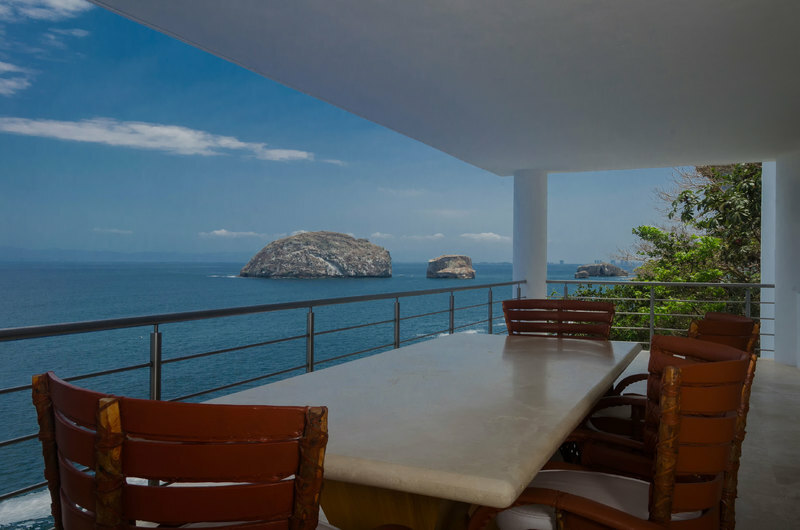 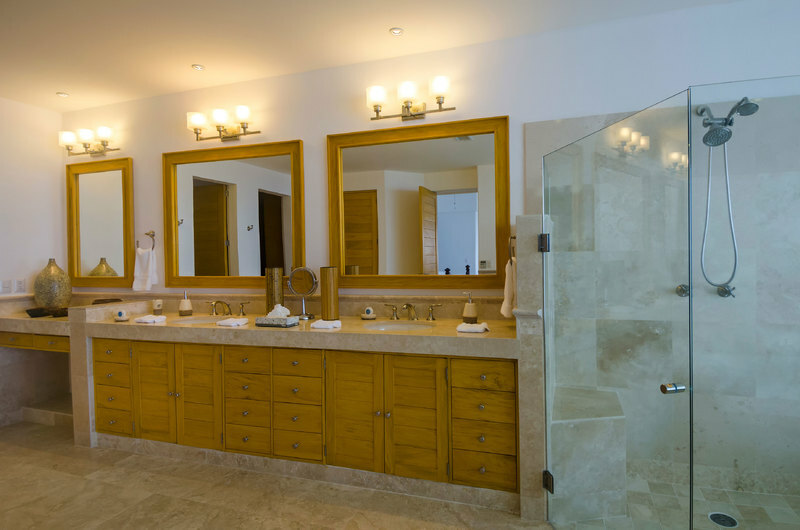 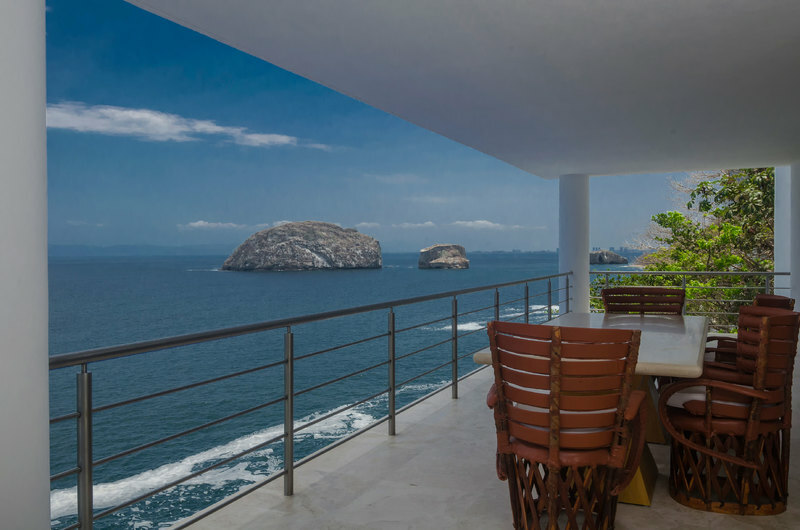 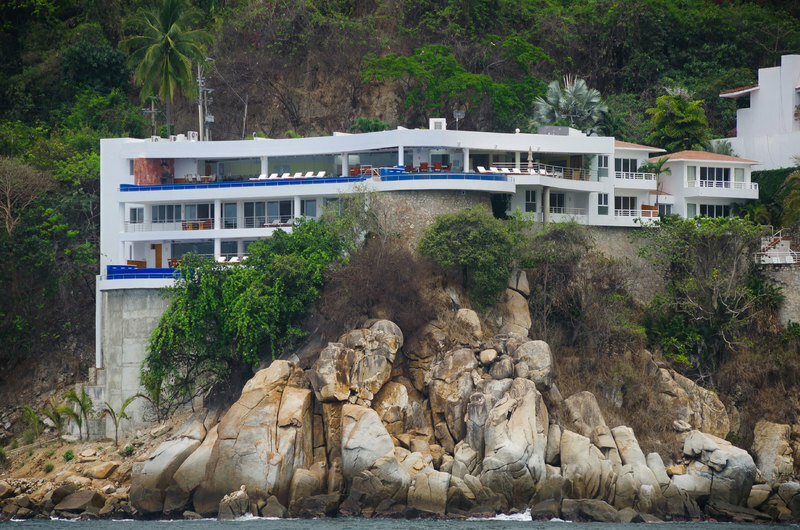 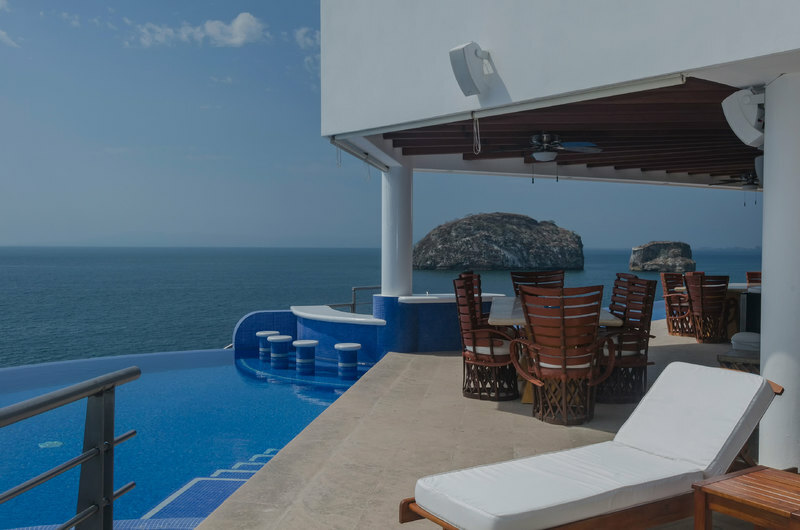 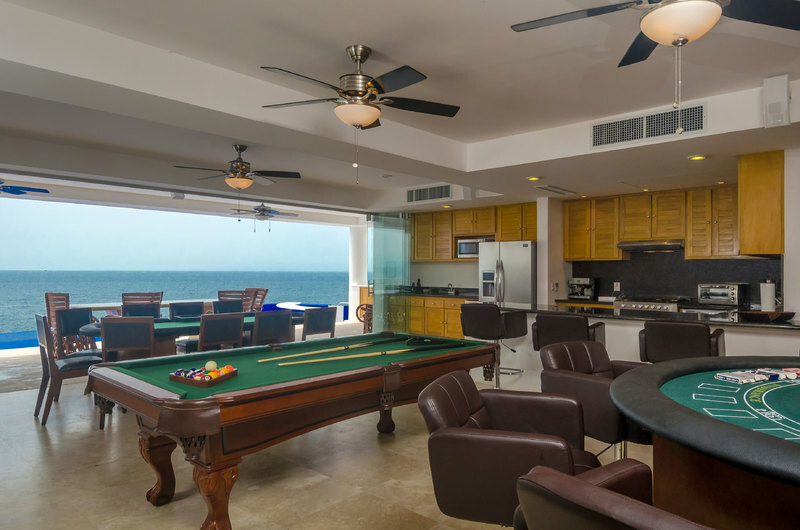 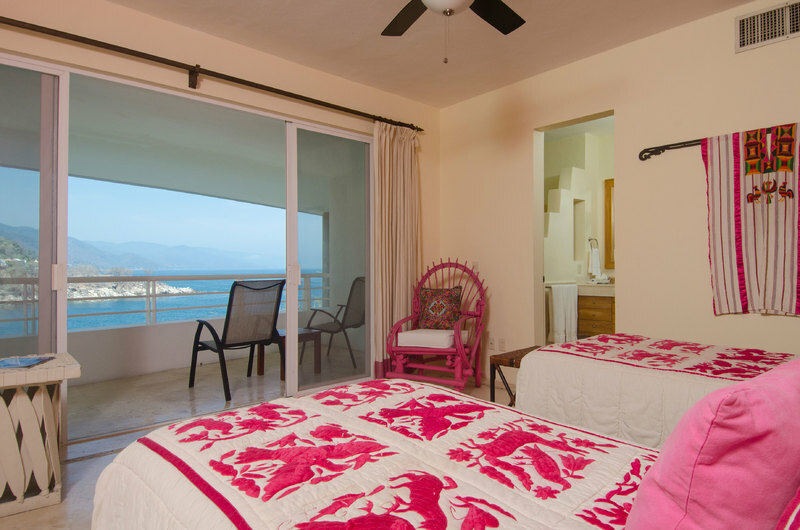 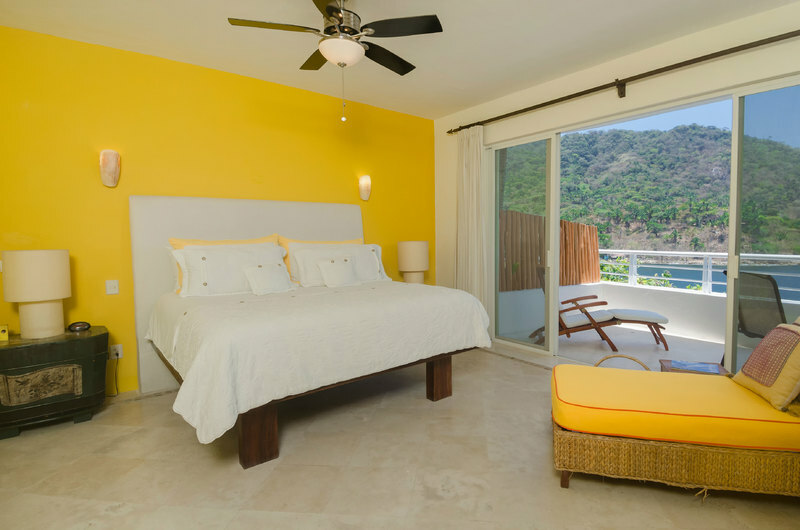 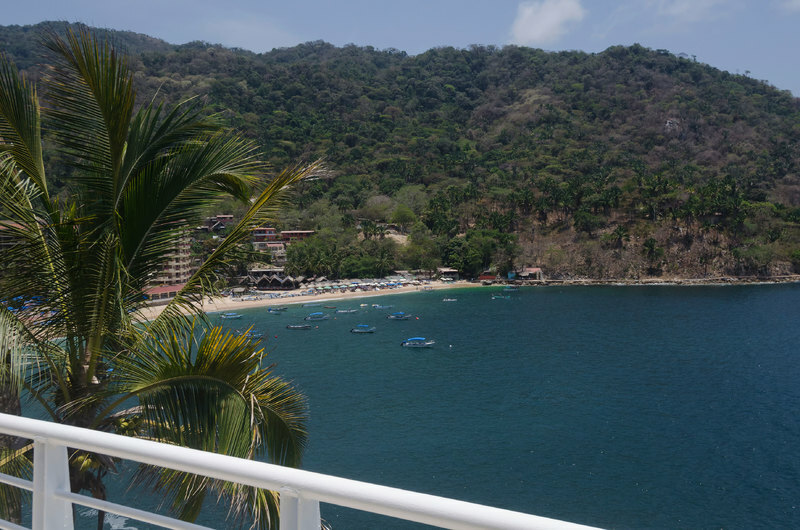 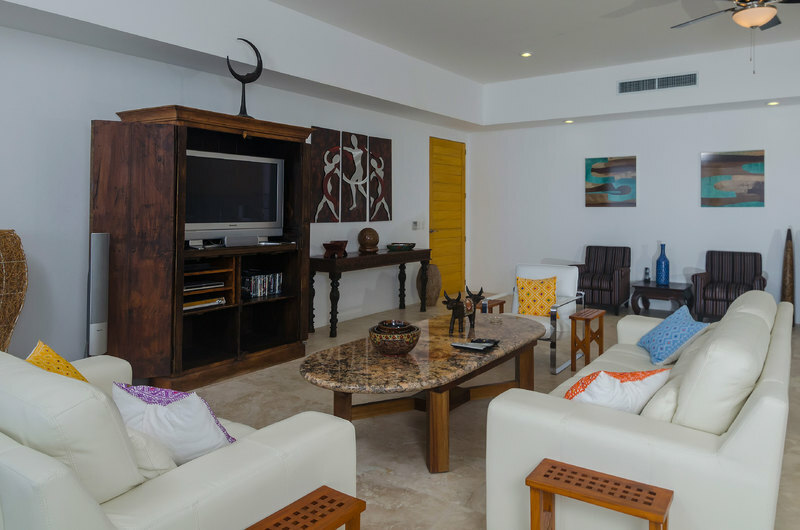 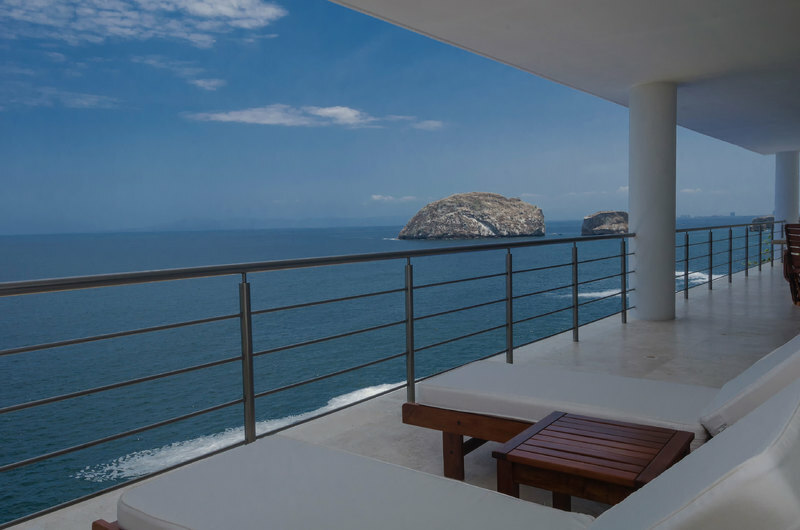 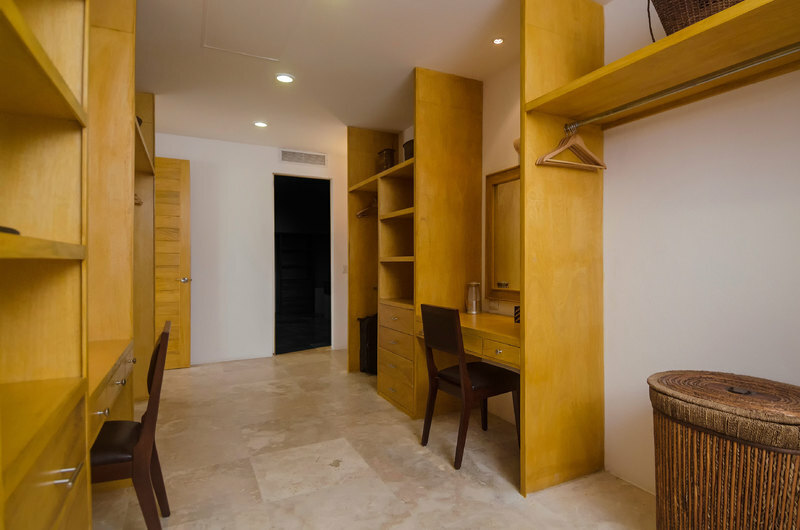 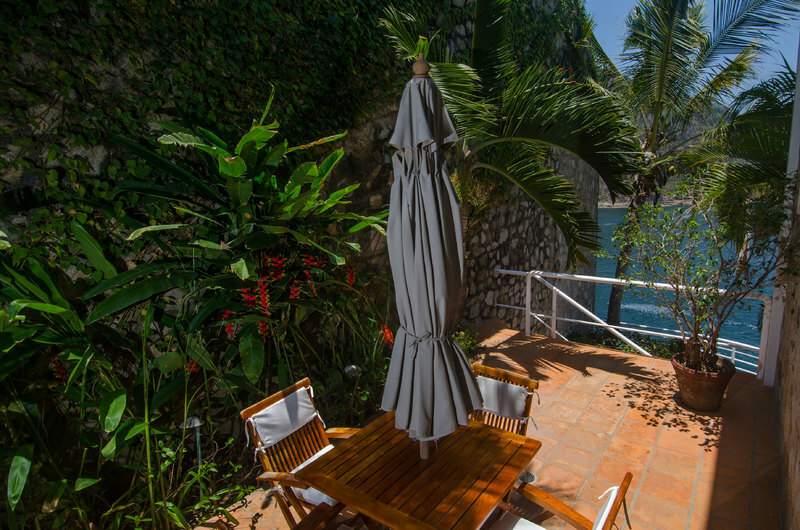 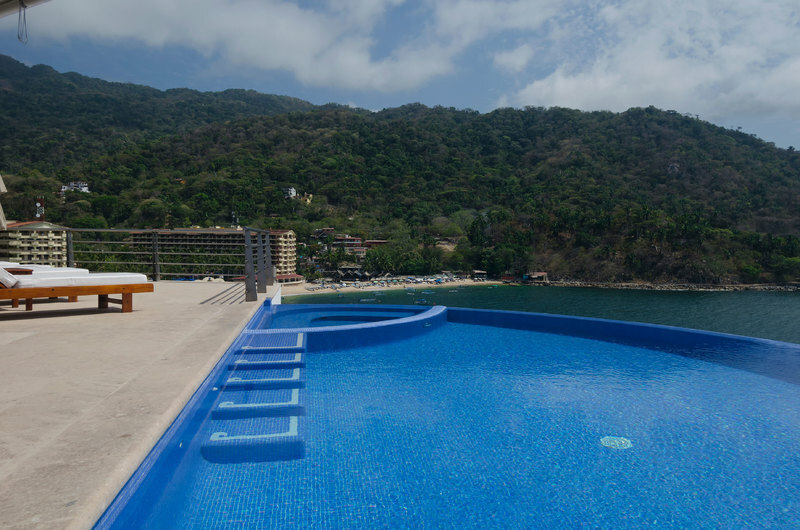 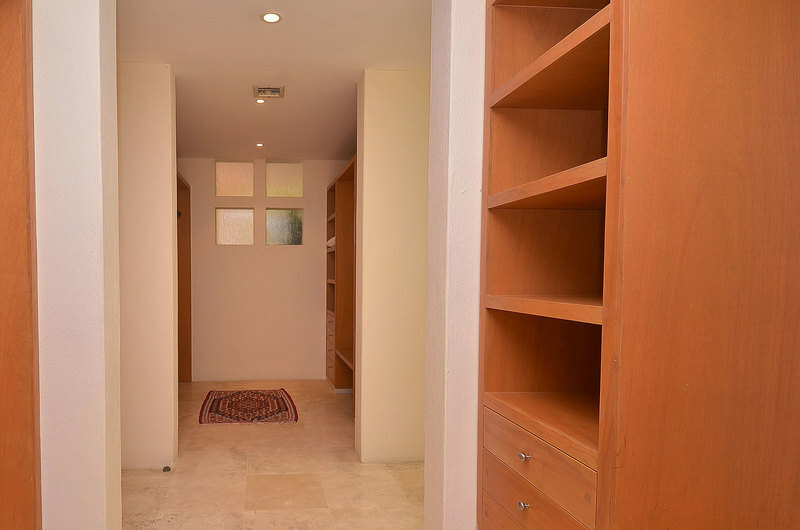 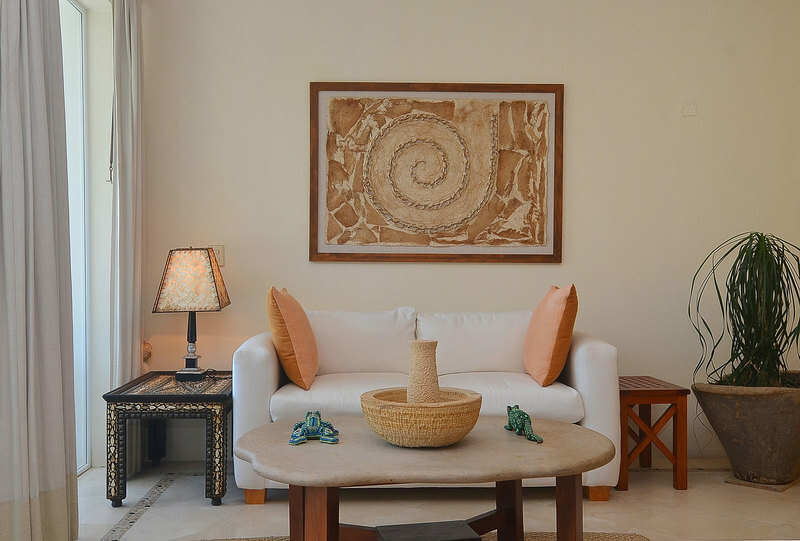 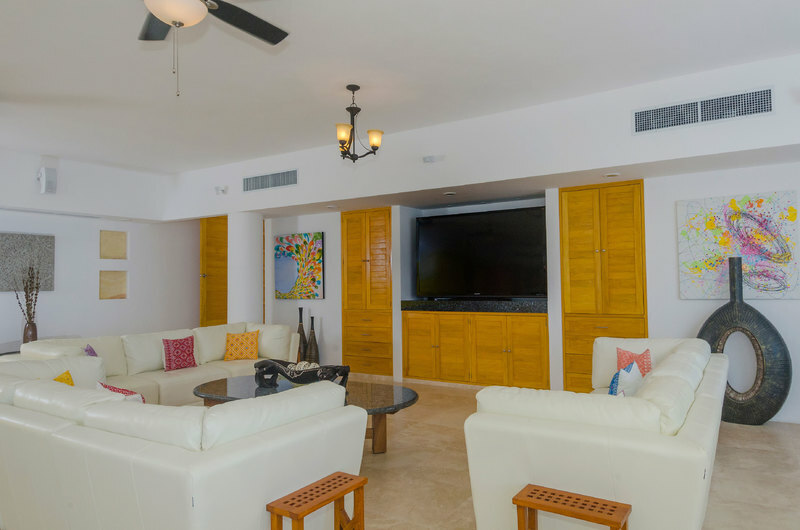 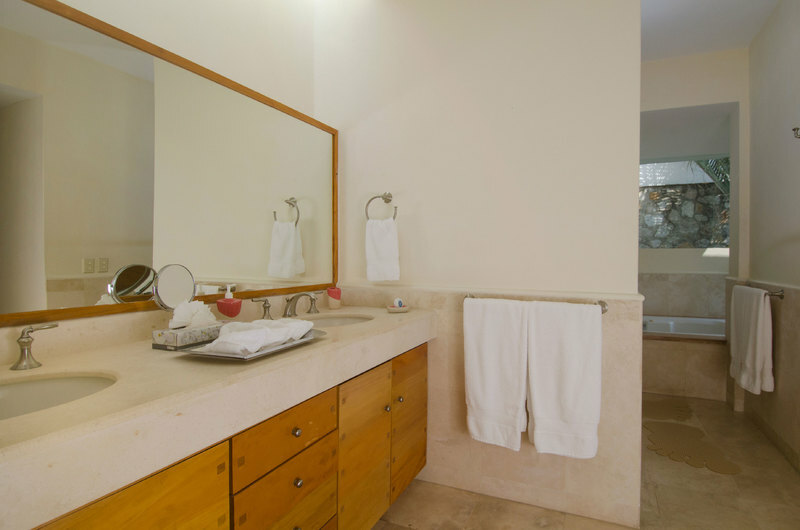 Each of five bedroom suites has an ocean view, private terrace, marble floor and walk-in closet. 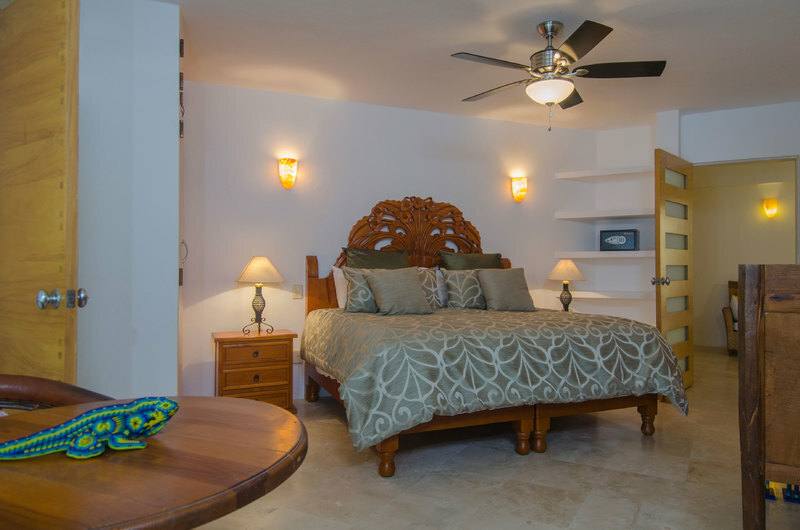 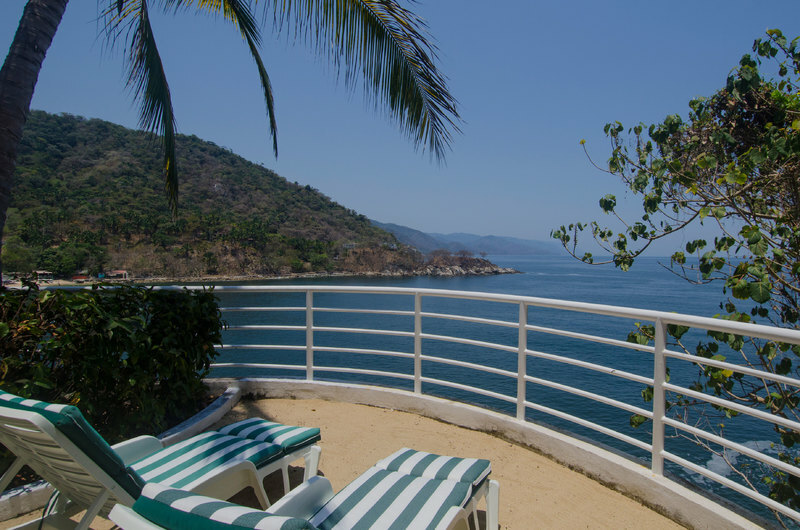 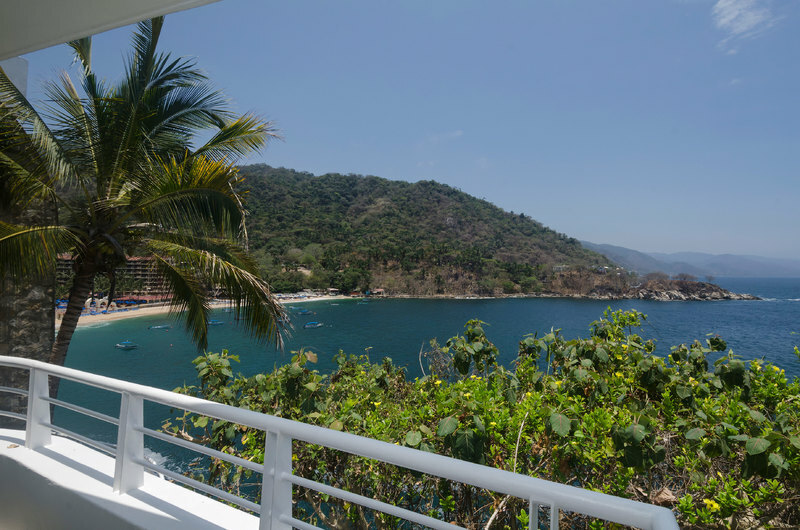 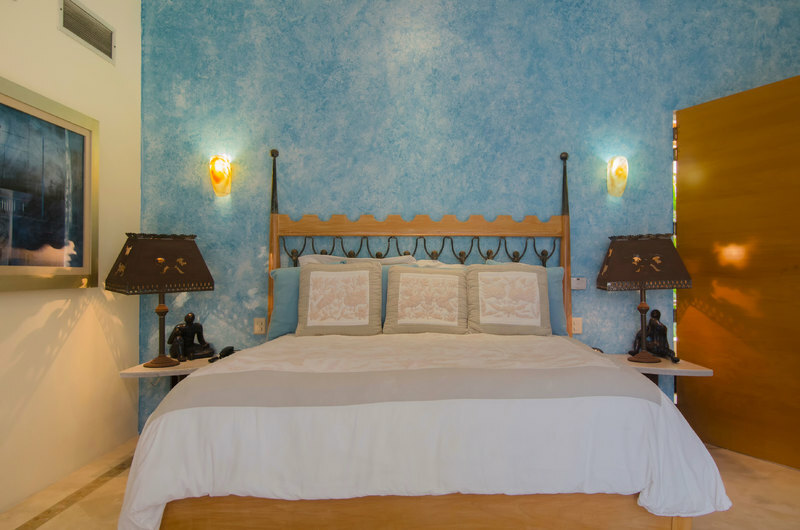 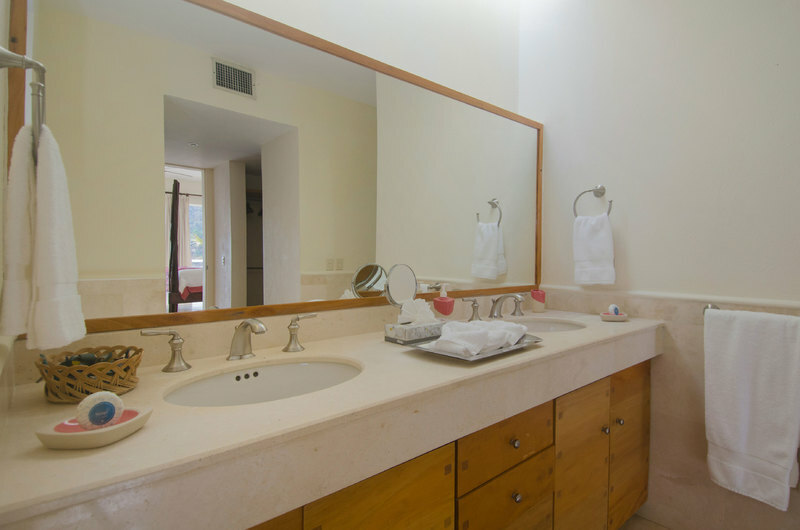 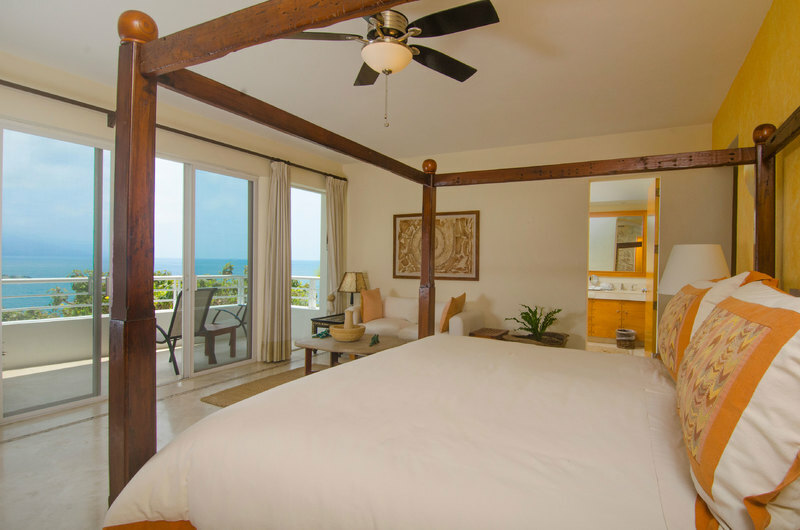 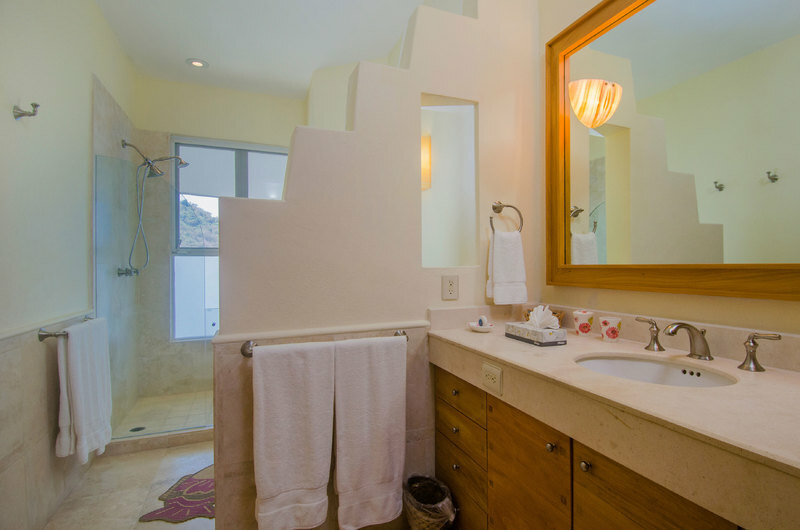 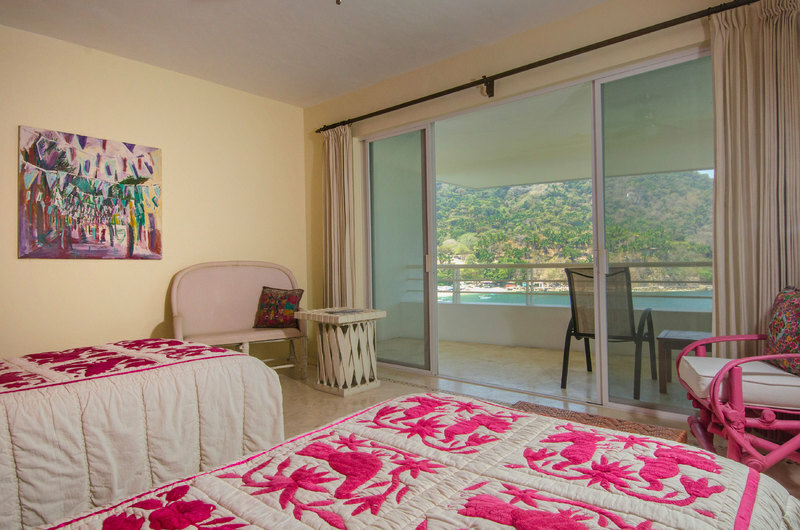 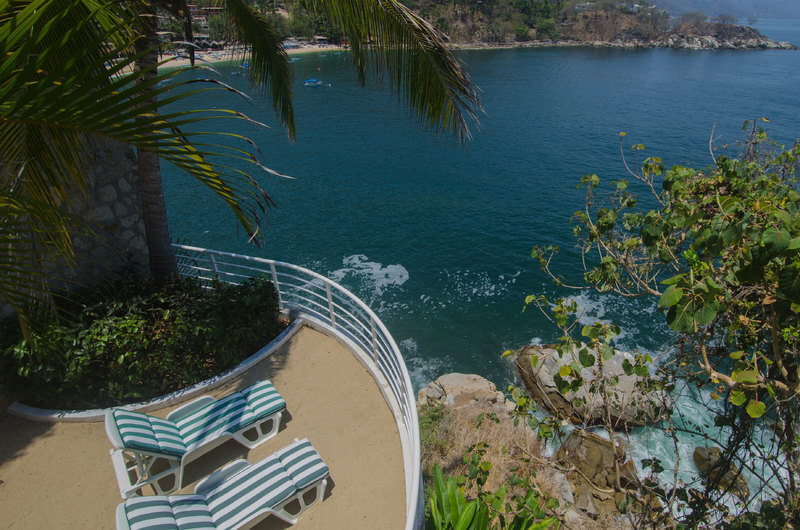 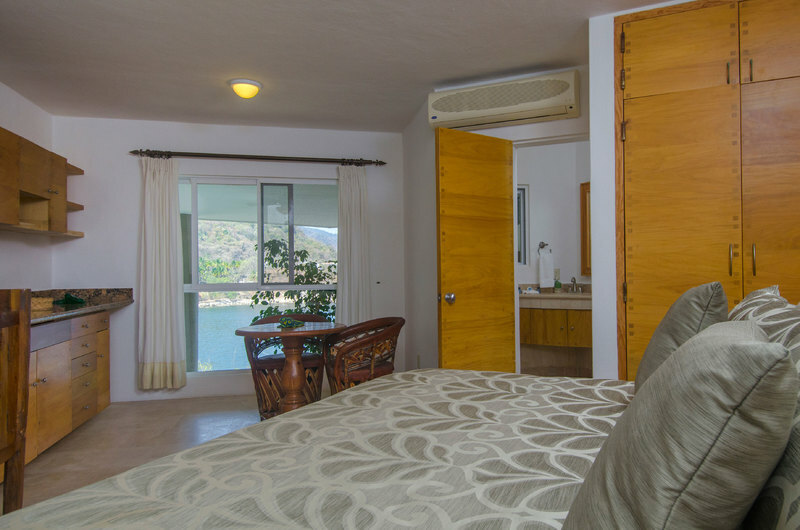 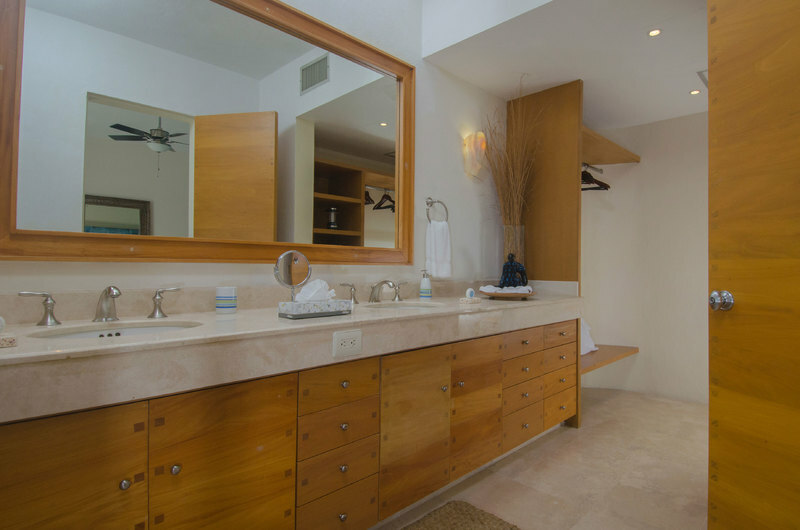 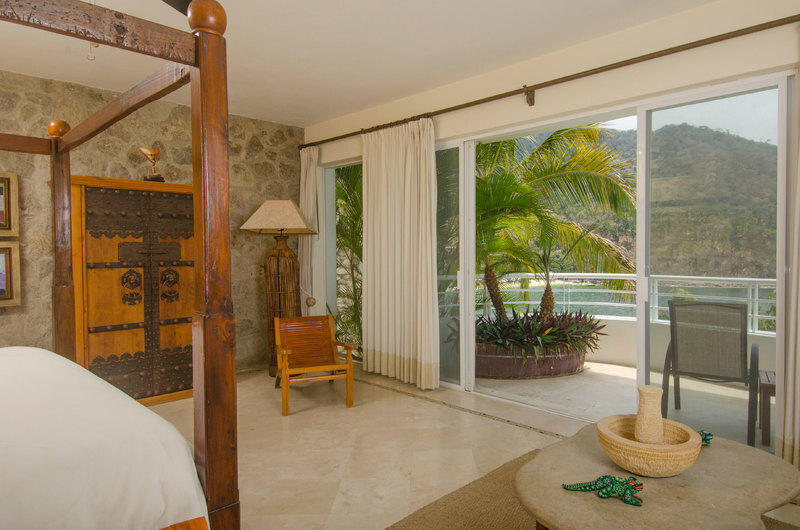 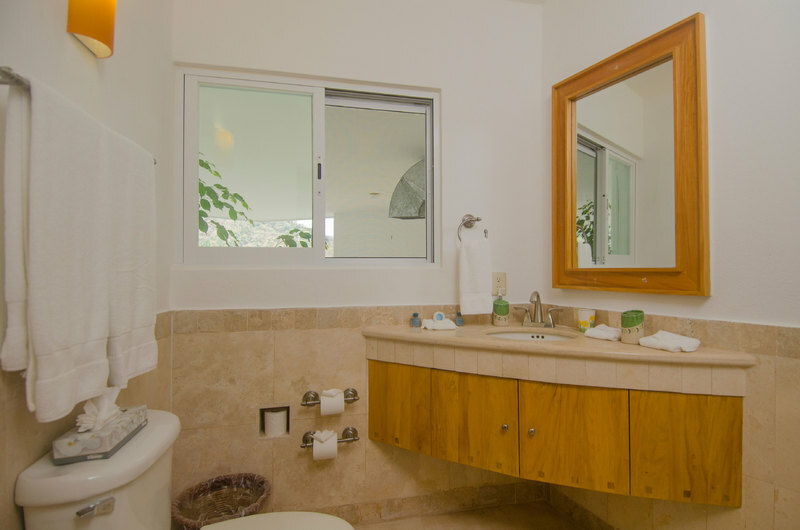 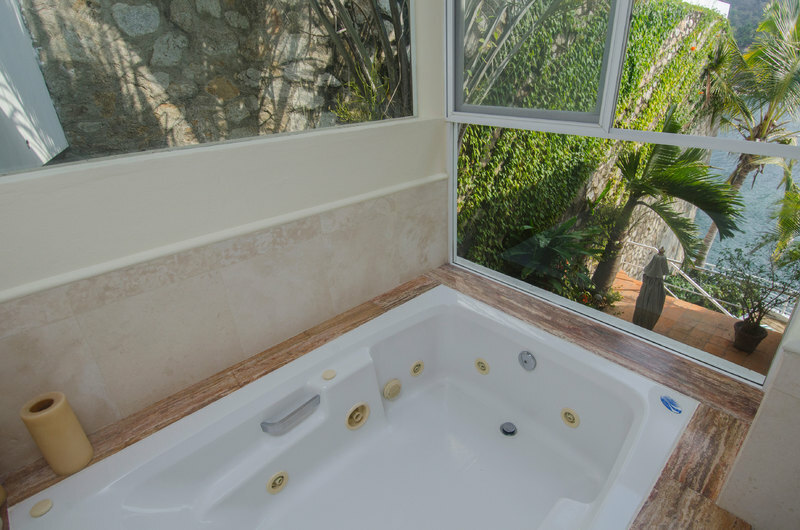 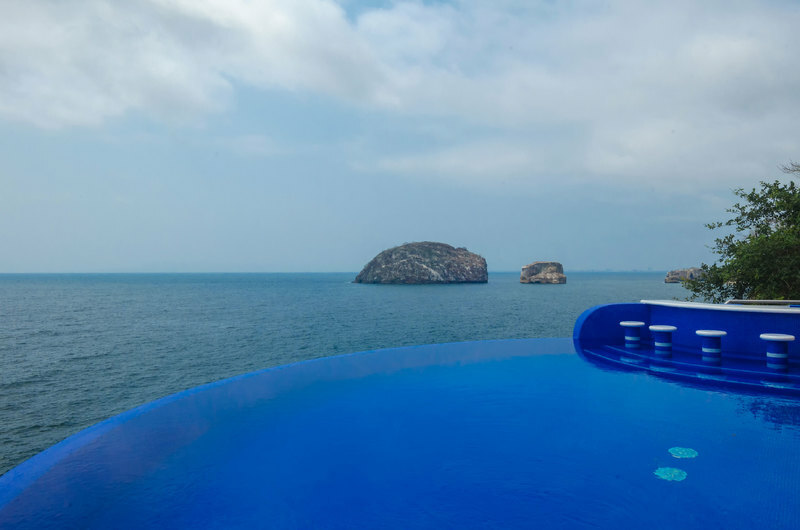 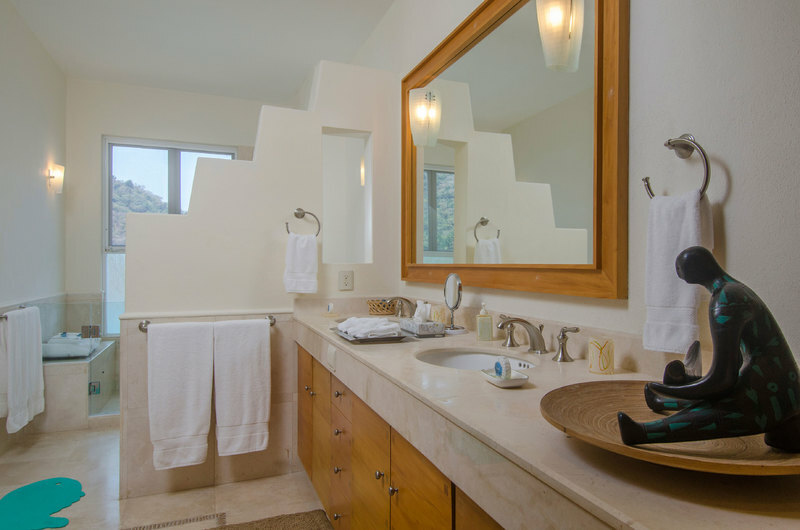 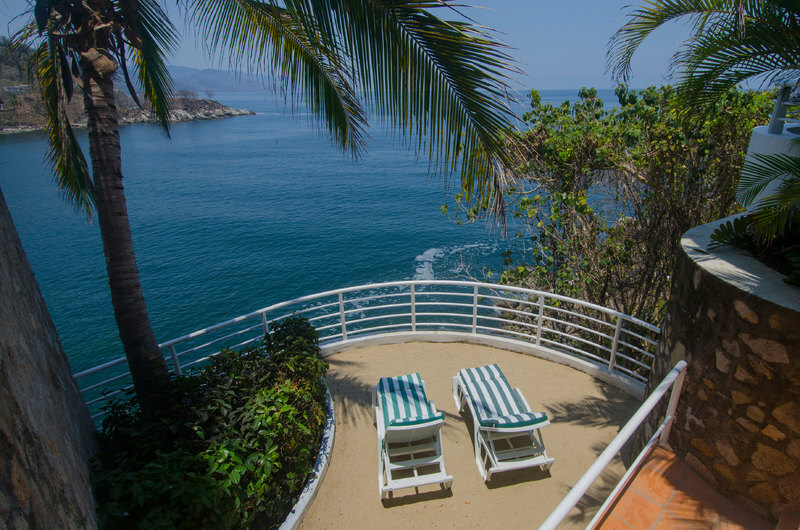 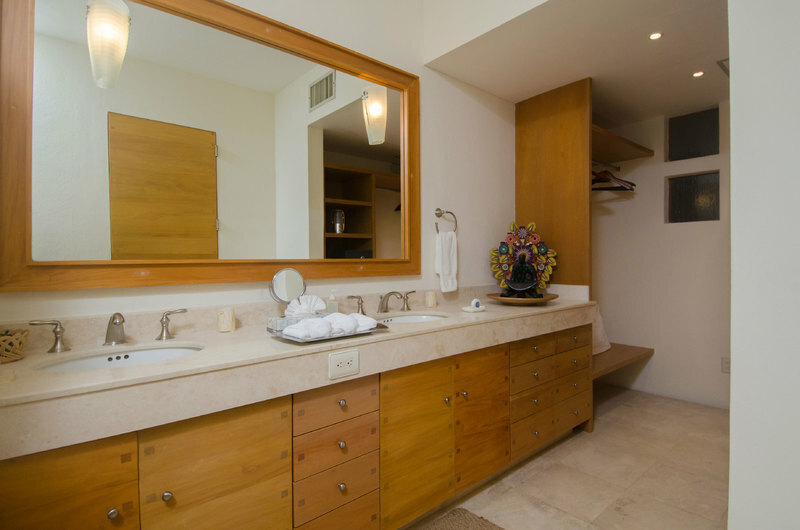 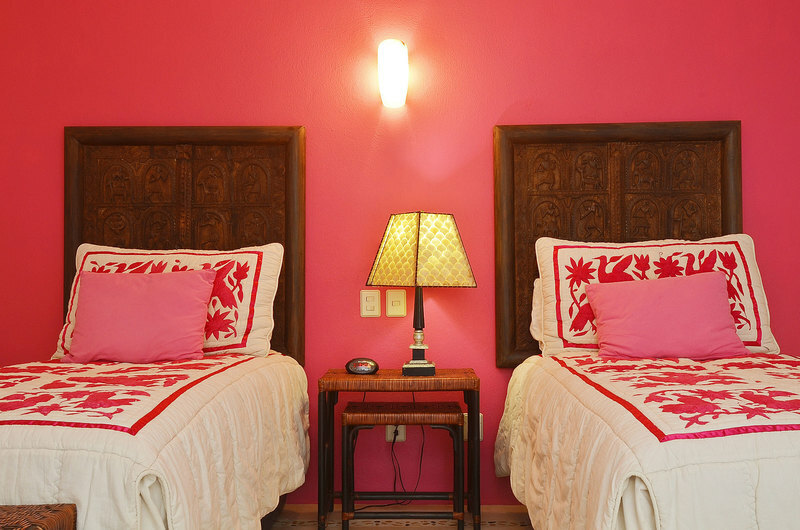 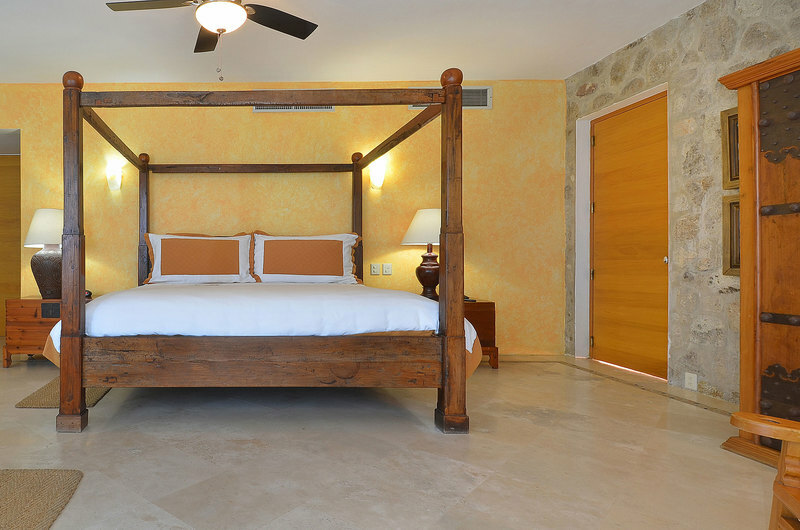 The lower level master suite also has a very private sandy platform beach, to gaze directly onto where Night of the Iguana was filmed long ago.